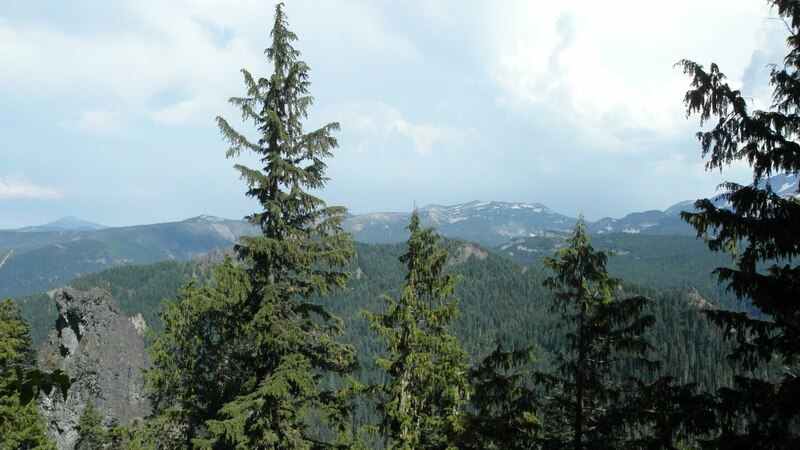 Info: Taken from the US Forest Service (http://www.fs.usda.gov) The trail meanders through young Douglas-fir and Western Hemlock forest. 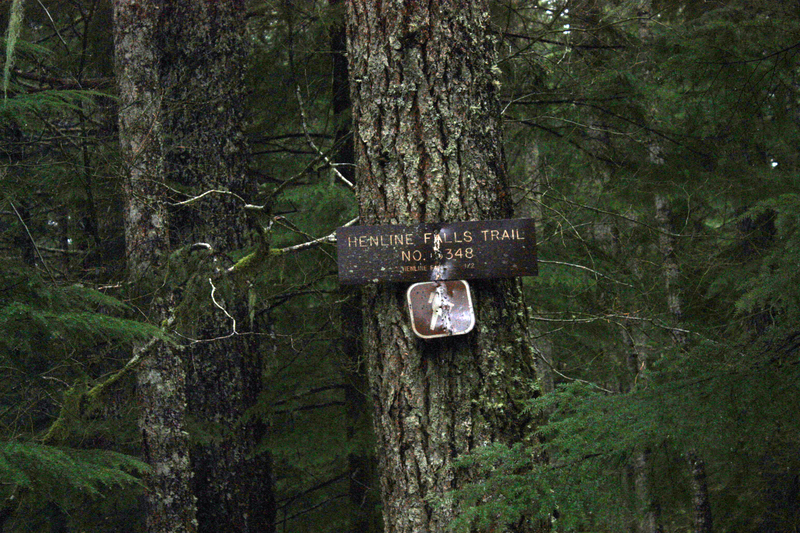 The trail ends at Henline Falls. 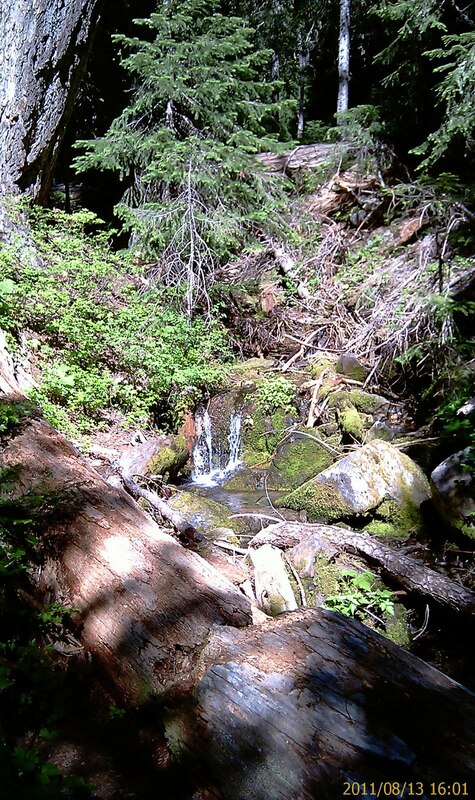 Here you will find remnants of old mining from the 1930’s. 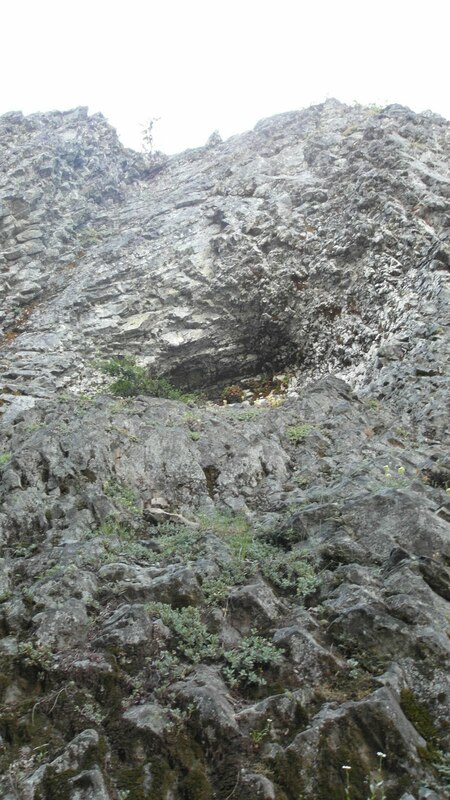 A mine adit was built into the solid rock wall and goes back in about 1500 feet. Directions: From Salem, travel East on Hwy 22 to milepost 23 at the Swiss Village Restaurant. 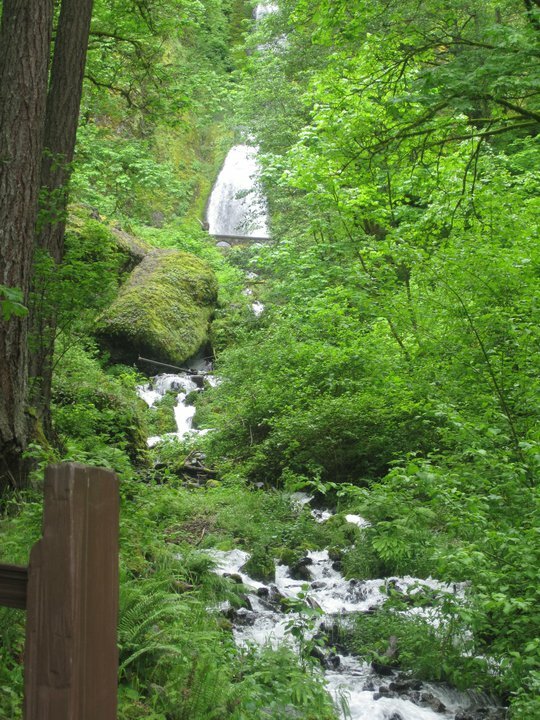 Turn left on North Fork Road, which is marked “Little North Santiam Recreation Area”. Travel about 19 miles to forest road 2207 junction, continue past this junction for ¼ mile. Trailhead is on the left side. 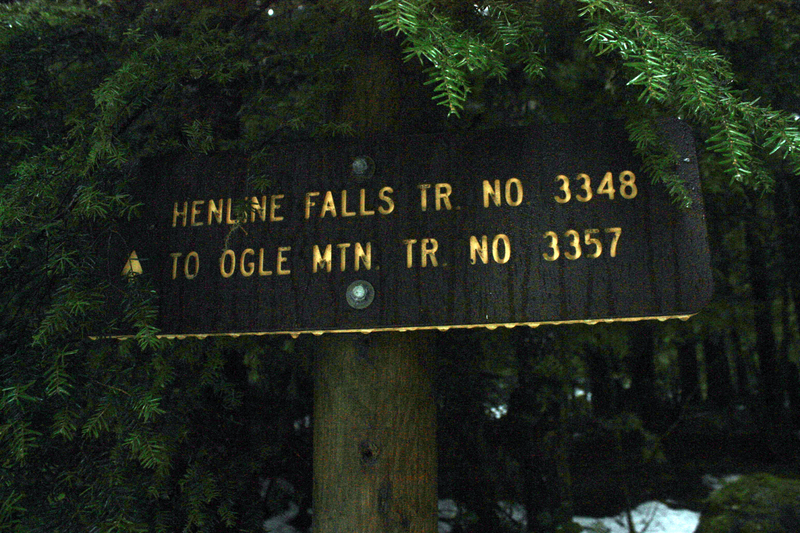 This also provides access to Ogle Mountain Trail #3357 where it intersects with Henline Falls trail. 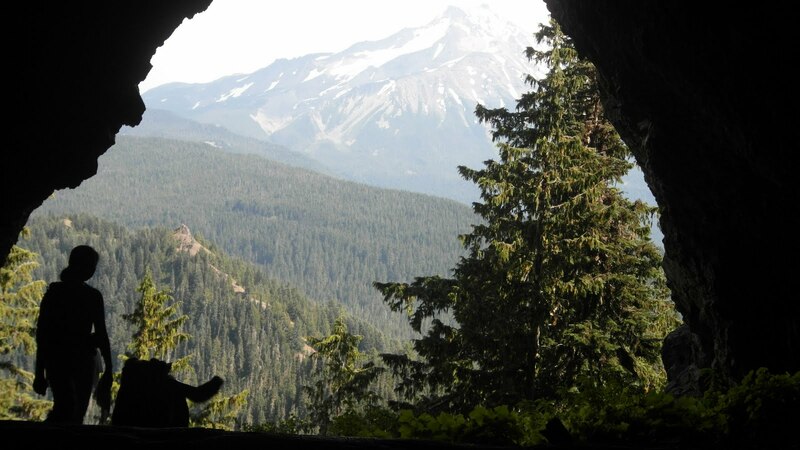 Jenn’s View: I really do like this hike. It’s real easy and quick so if I have the urge to do something close, I can go here. 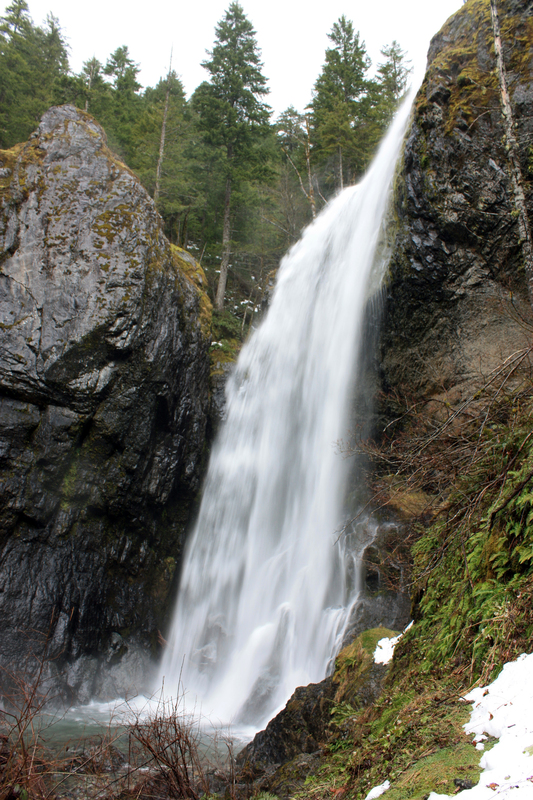 I would probably head up to Silver Creek Falls but it’s normally crowded so I don’t go there as much. 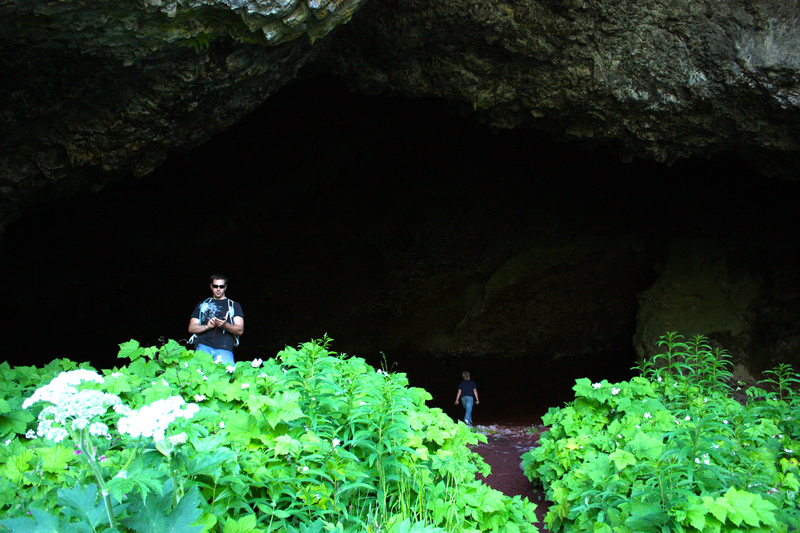 Plus, if you are courageous enough you can go in the mine…I wouldn’t suggest going pass the barrier though. It freaked me out! All I can imagine is something crawling on the ceiling and then grab me and pull me in! 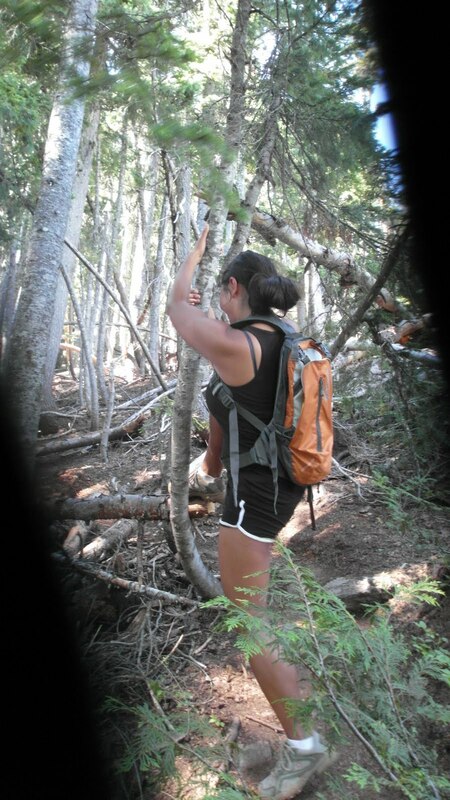 You go through the woods and it’s a pretty flat area to hike into so the hike was pretty easy. 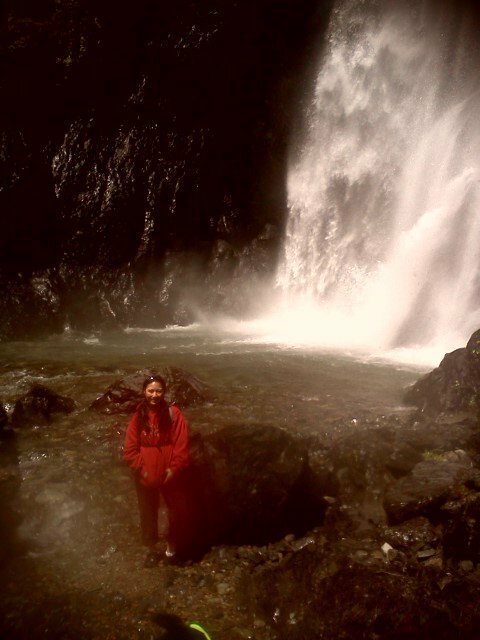 Most of the pictures taken were when we reached the falls. A couple of pictures of us. 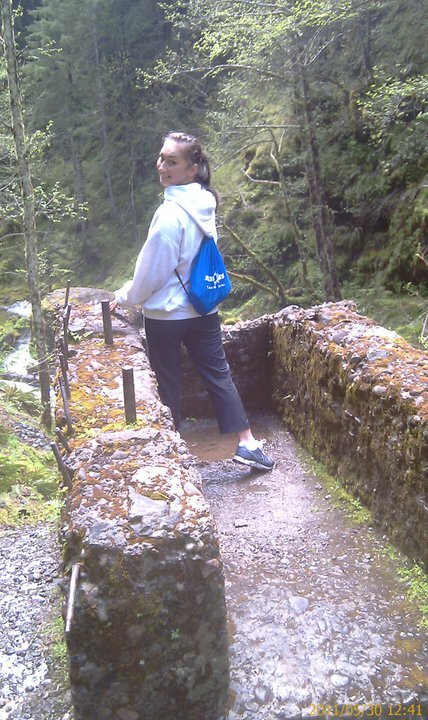 It wouldn’t be my blog without a picture of me :)! We did manage to do another hike very close by. 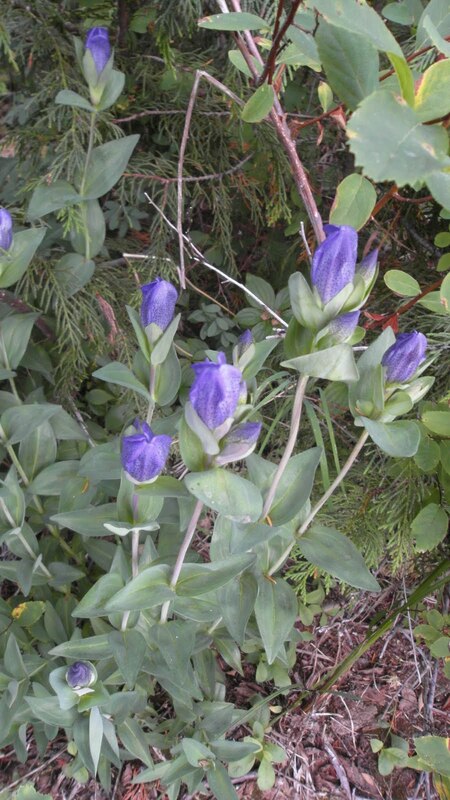 These pictures were taken with my camera phone and my ELPH camera. Unfortunately, my little ELPH broke. 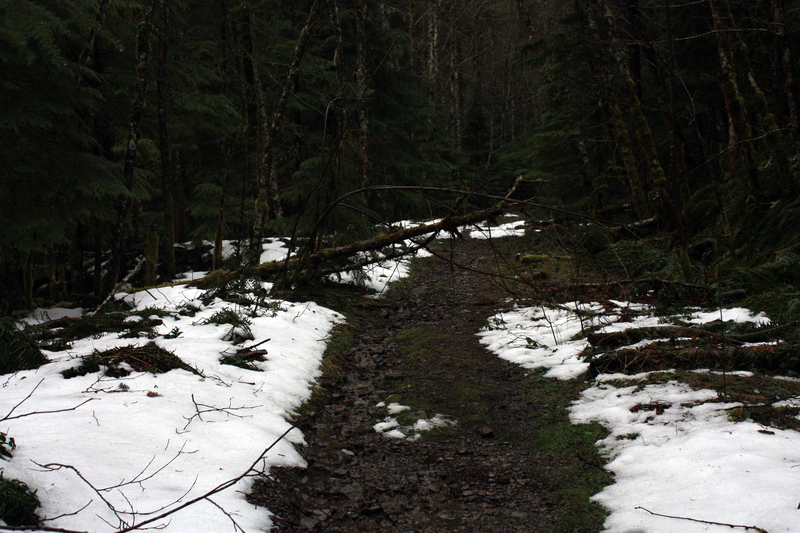 So, silly me decided to once again go hiking and be unprepared for snow. Gosh darn snow! 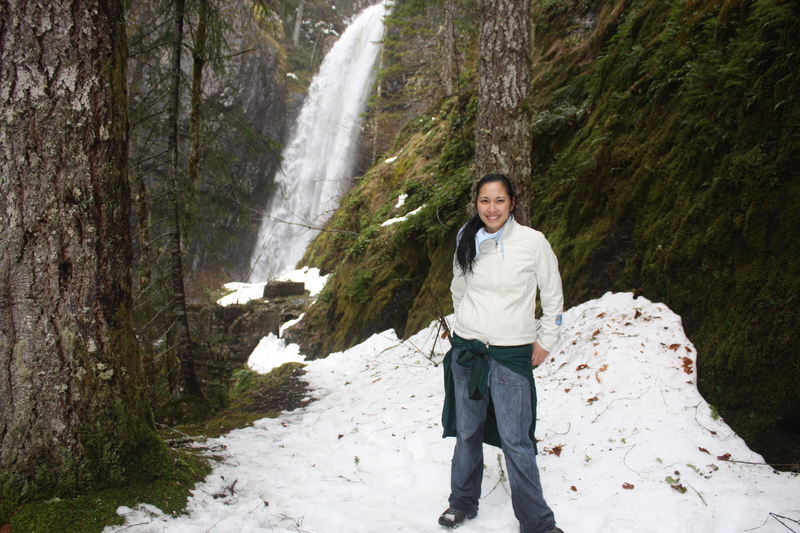 Besides, Scott Wenger had my snow pants when we went skiing that last time I was in Sisters, Oregon. EEEK. First time skiing since 6th grade. Quite comical on skis. I think I should invest in snow shoes. Here was my drive in. I drive a 4 door Honda Accord so any snow – blah for my car. I love my little car especially now that the gas price is over $4.00 a gallon so my SUV has to wait once again. Sorry it’s such a dark picture but the settings of my camera were way off and I forgot to adjust them before taking the pictures. There was another car parked in front of the sign so I know that someone else was on the trail. You would normally do the self issued pass that is located on the sign in the little box but there were none so I didn’t fill it out. 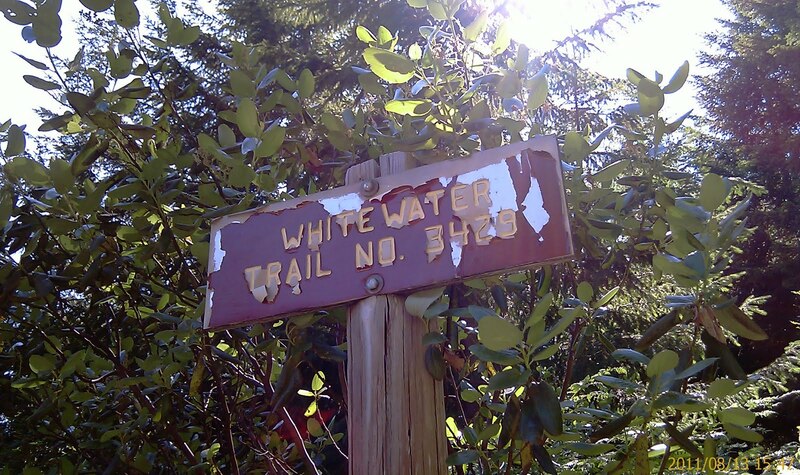 Next time, I should leave a small pad of paper and see who would write on it to tell me about the trail. hmmmm…. SCIENCE EXPERIMENT! 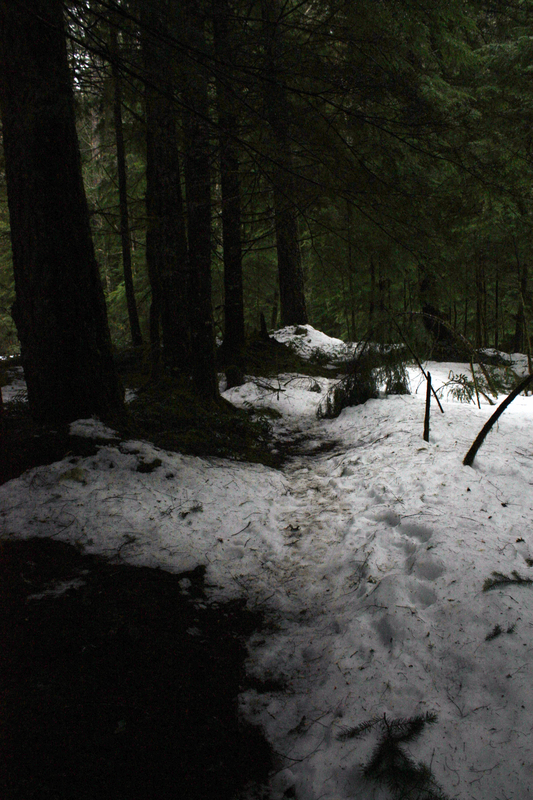 Most of the trail was covered in snow. 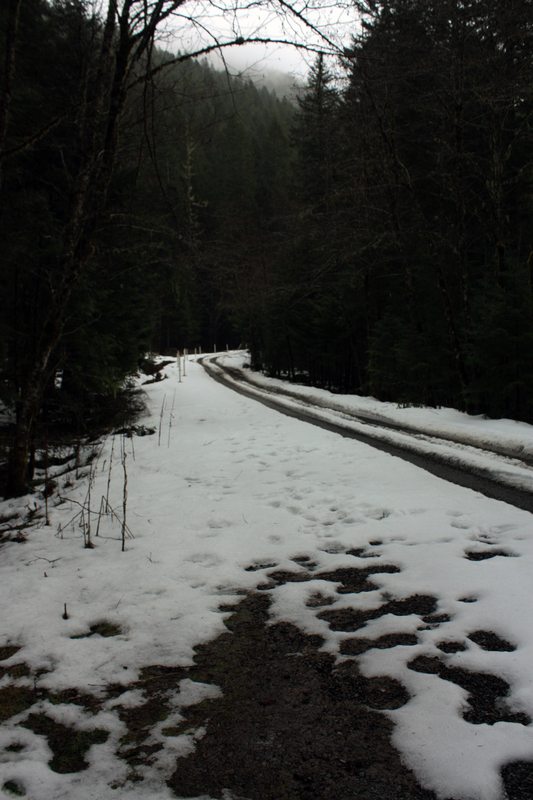 Man, it would have been nice to have my snow pants, just saying…. You come to a fork in the road. 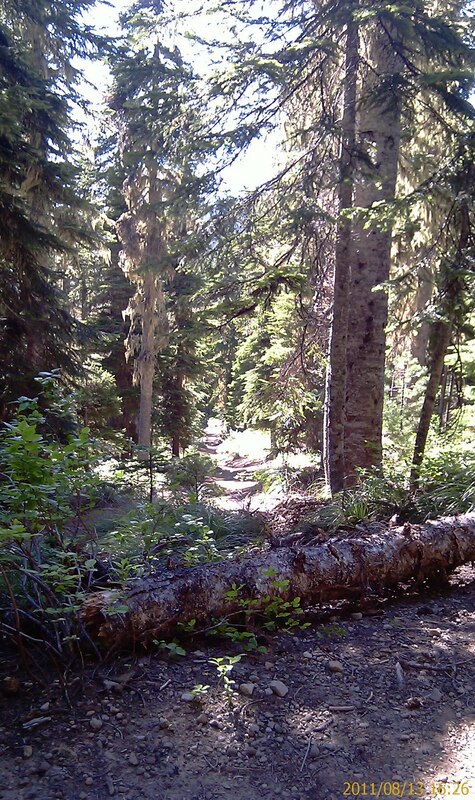 To the right, that’s the trail to Ogle Mountain. I wouldn’t take that road just quite yet. It’s long and bit more difficult. 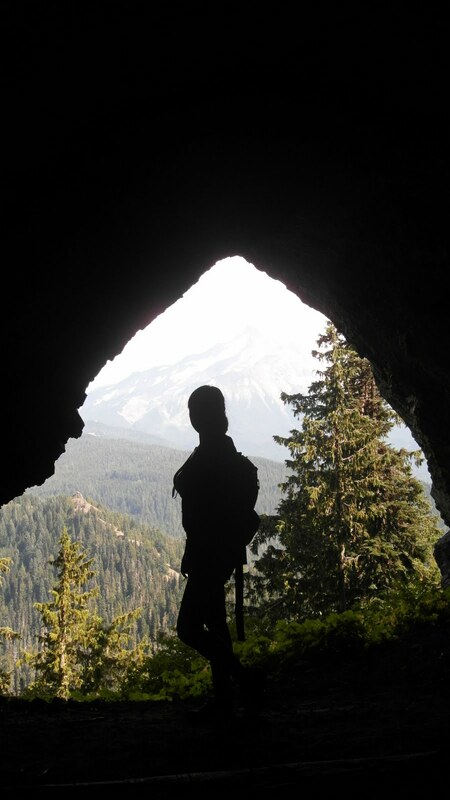 Wouldn’t be a blog without a picture of me….Isn’t that what I normally say? 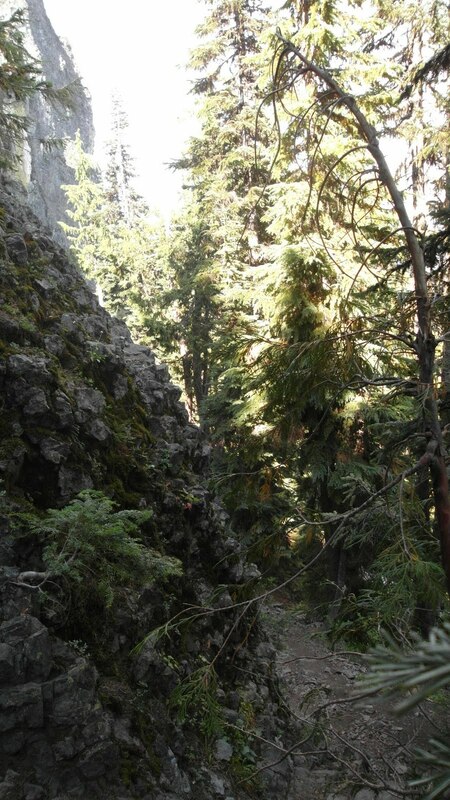 The Opal Lake trail drops down steeply from FR 2207 less than half a mile to Opal Lake, the source of Opal Creek. 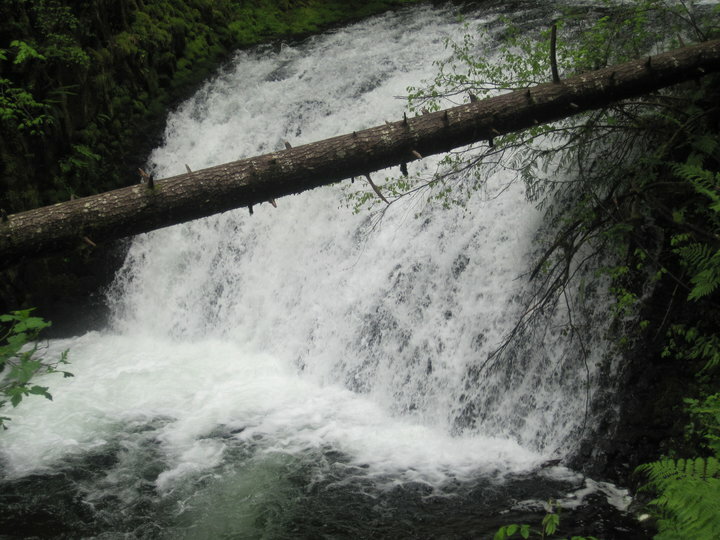 Opal Lake is remote and beautiful spot, and of late has been used as a starting point for those wanting to visit elusive Opal Creek Falls (Opal Creek), a few-tenths of a mile downstream from the lake (bushwhack only). 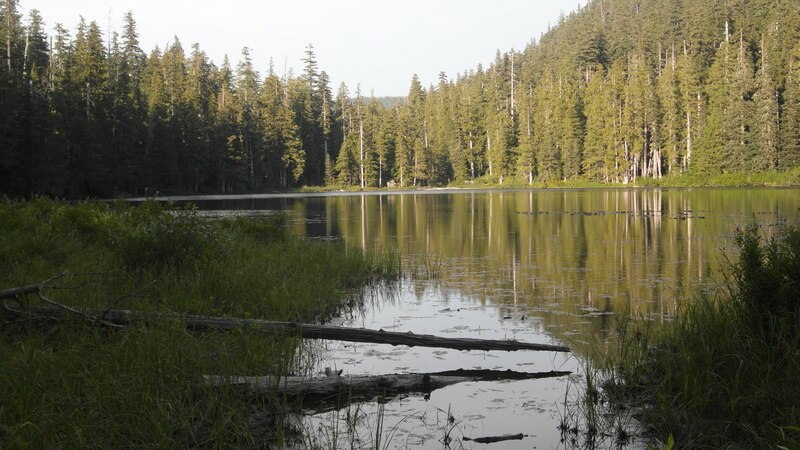 You can also reach Opal Lake by bushwhacking up from Opal Creek, but that trip is recommended to only the most hardy and intrepid hikers with bushwhacking experience. 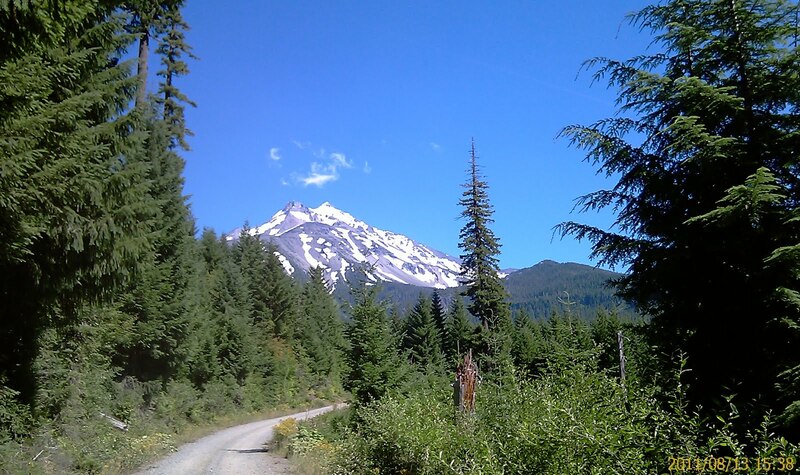 Directions: Drive 50 miles east of Salem on OR 22 to Detroit Lake. 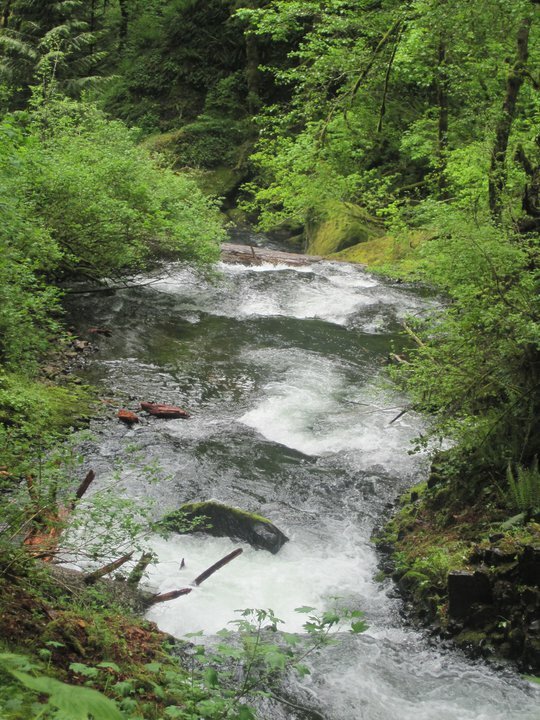 Just before the Breitenbush River, turn left on French Creek Road 2223 and go 4.2 miles to a fork at pavement’s end. Go right on Road 2207 and it’s the 2nd Trailhead on the right. Permits: Permits are not required. Parking and access are free. 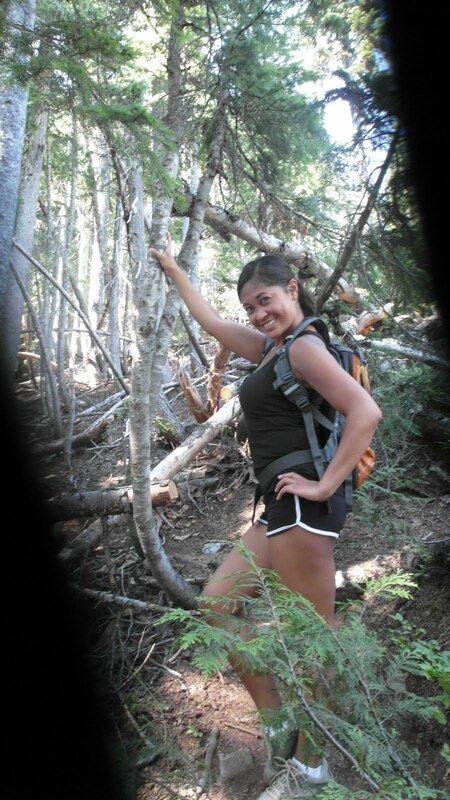 Jenn’s Review: Joyce and I decided this is NOT one of our favorite hikes. 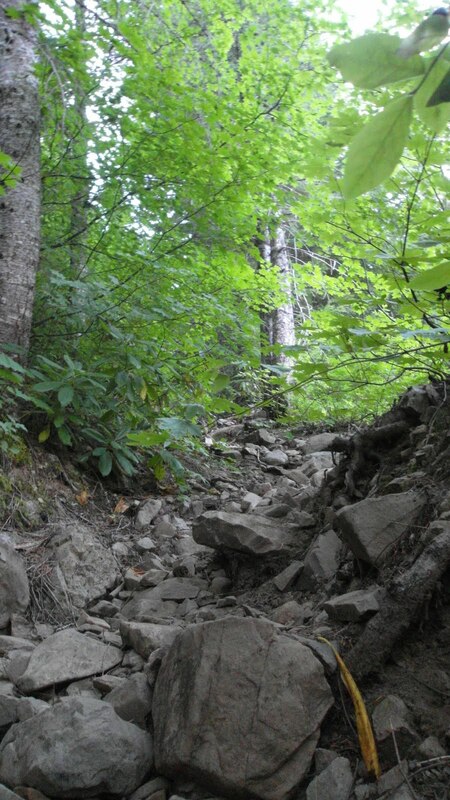 Besides the steep, rocky downhill, bugs galore and the trail was not maintained. Wear pants! There are thorny bushes that will get you. 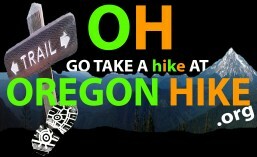 It is a small hike though. 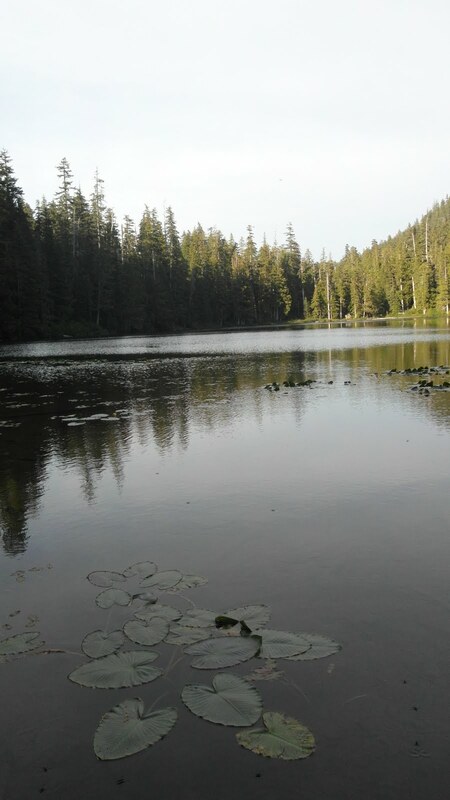 If you are looking for a quiet lake to camp or hang out (maybe skinny dippin’? ha ha) than this is pretty nice lake. Good luck in finding a flat, not muddy spot to set camp. 🙂 The neat part about this is that you cross 2 different Wilderness! 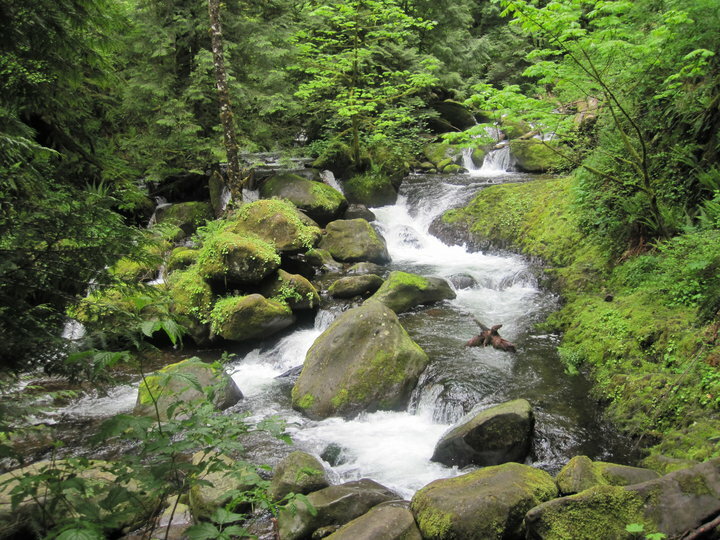 You start in Mount Jefferson Wilderness and end up in Opal Creek Wilderness! The reader board was empty. 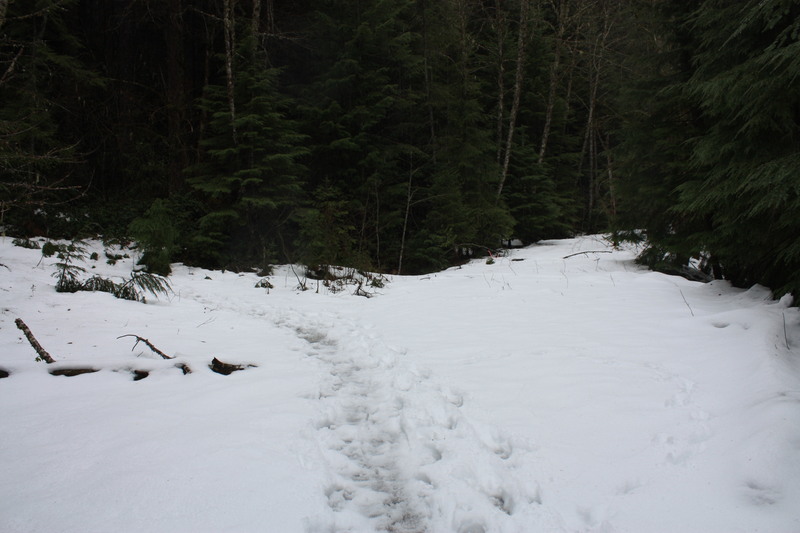 No postings or signs – I’m thinking they are doing a rehab of this trail. 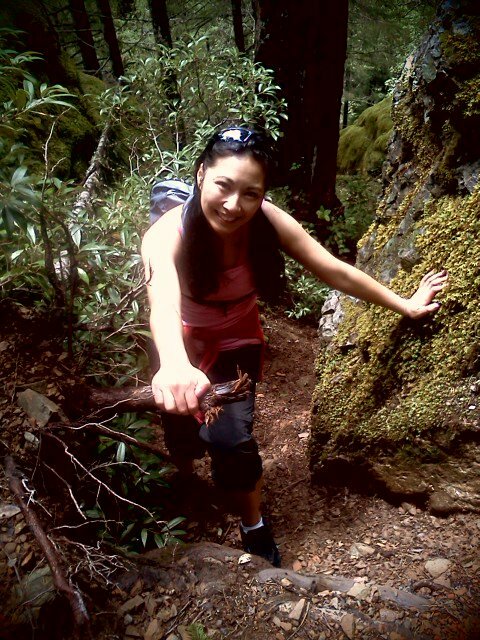 We did have fun on this hike though…Joyce was singing to one of the songs on Dirty Dancing. 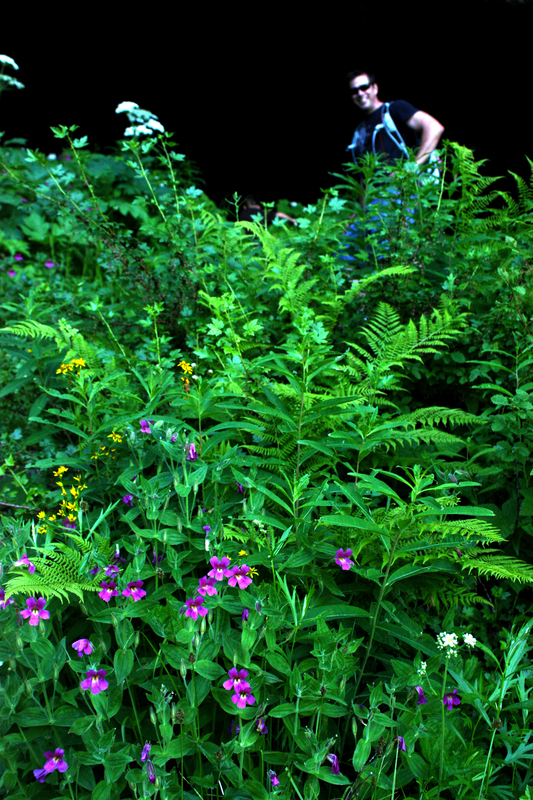 The first stop you come to is a meadow. 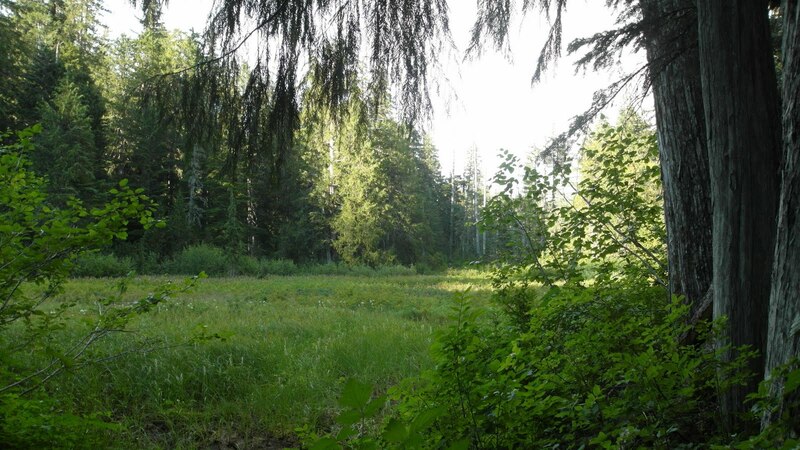 We were laughing because we kept saying this is the meadow that Edward Cullen took Bella. Follow it to the right and you will hit the lake. 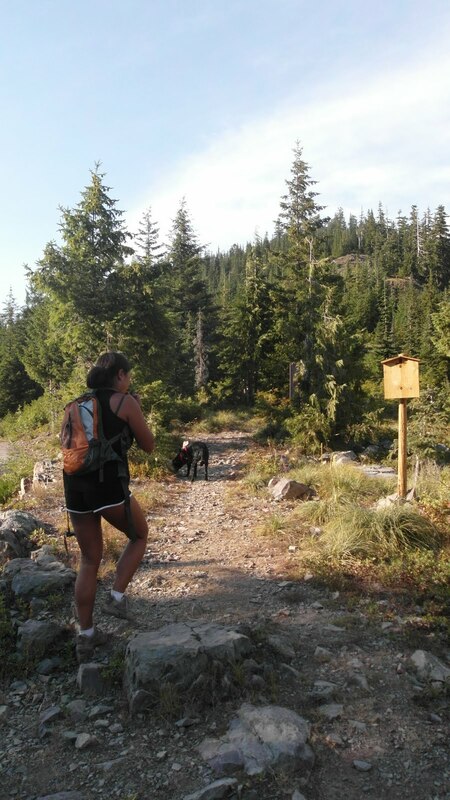 The guy we met on the trail was a little freaky…OKEE, his dog was a little freaky and kept attacking poor ShadowLynn…Well all dogs seem to want to attack her, even Muffy! Shadowlynn fell into the water at the end of the log…Stupid dog! When I say STEEP, I mean STEEP! It’s one of those, you are breathing very heavy and taking breaks every few steps! 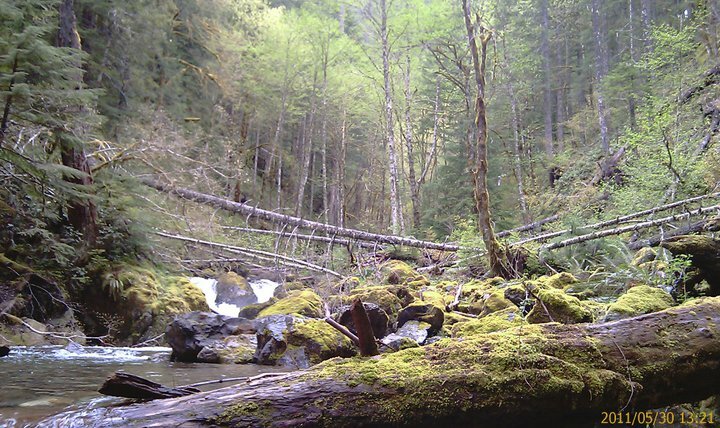 I have a feeling that this trailhead will close eventually and that the only way to get to Opal Lake is to hike from Opal Creek, which I believe is 37+ miles! 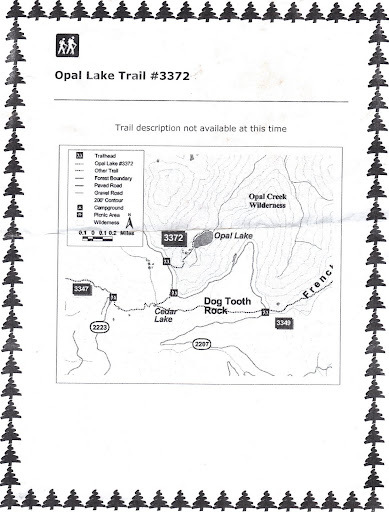 I couldn’t find much information on the web about Opal Lake. 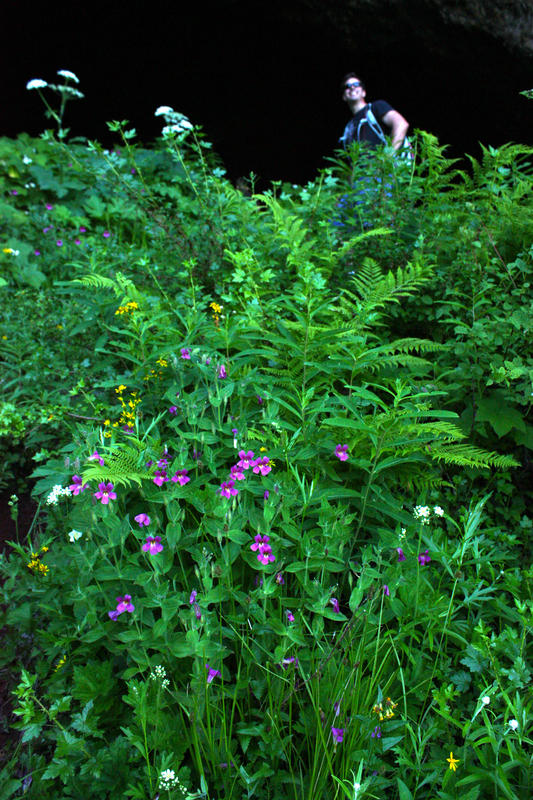 Glad I did it before it is completely overgrown and can’t get in to it. 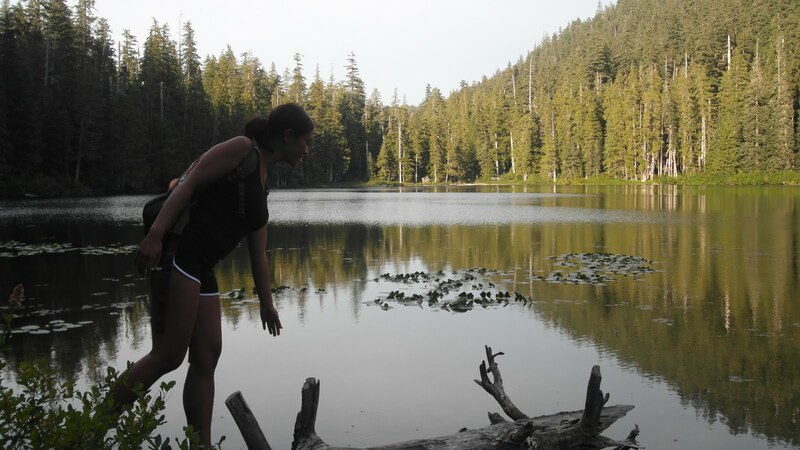 Posted in hiking, Jennifer Piol, Joyce Piol, Lake, Mount Jefferson Wilderness, Opal Creek Wilderness, Opal Lake, Shadowlynn, trail. 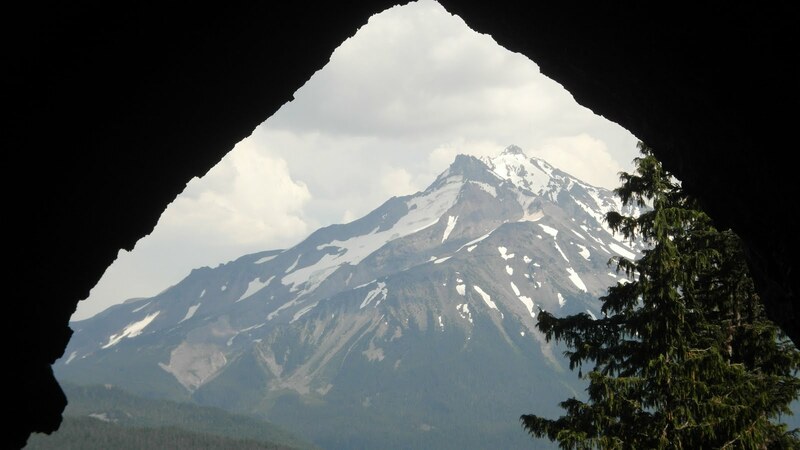 Read the Triangulation Peak blog to get information on the hike. 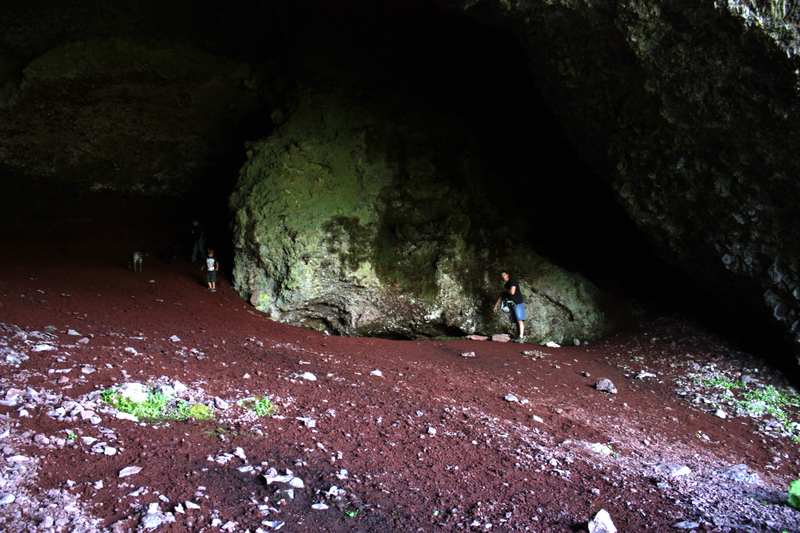 That trail leads to Boca Cave. 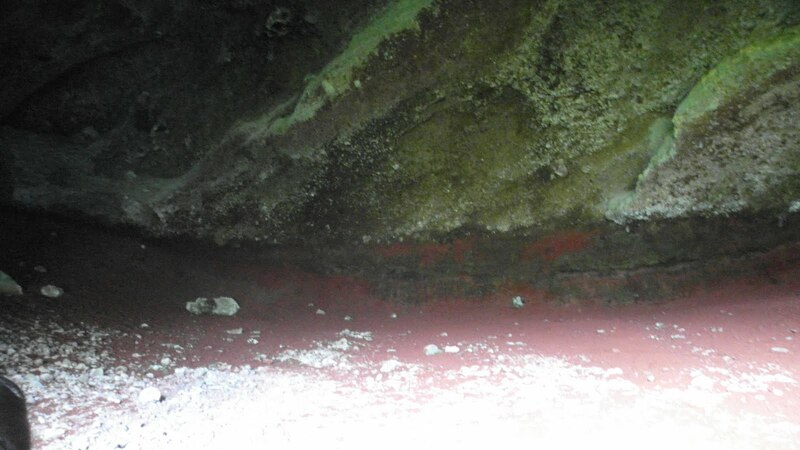 To find Boca Cave, beware of steep cliffs and watch your step. 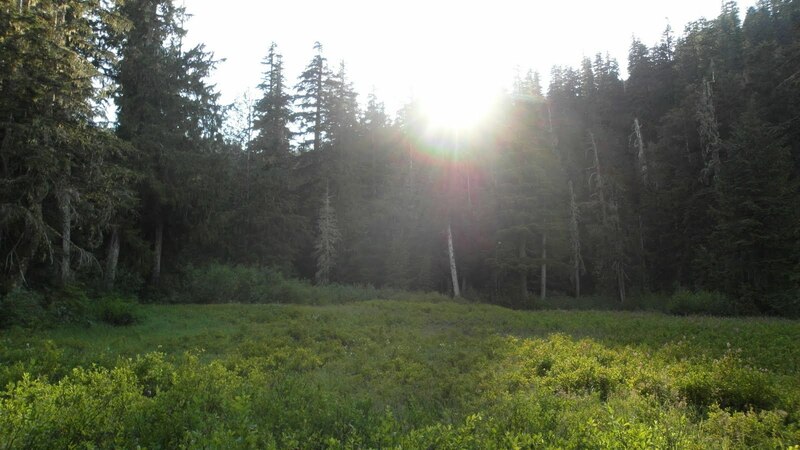 From the peak, hike down to a saddle and go right and cross-country to a second and lower peak. 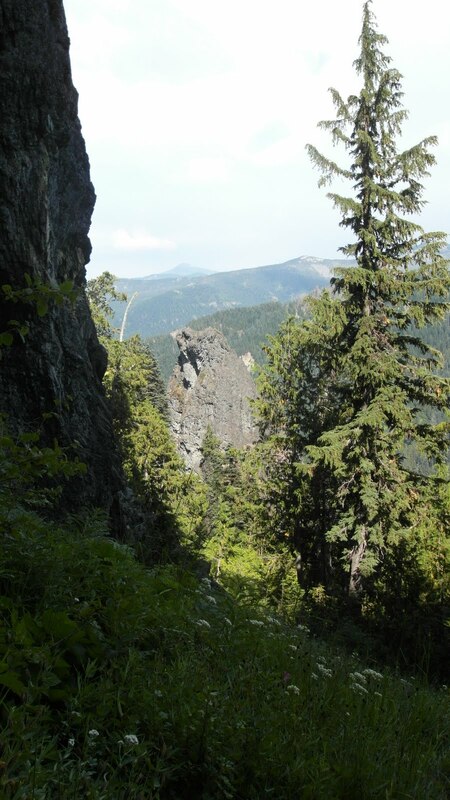 From here, a scramble trail descends along the right of a rock outcrop. The path ends at a cliff edge. 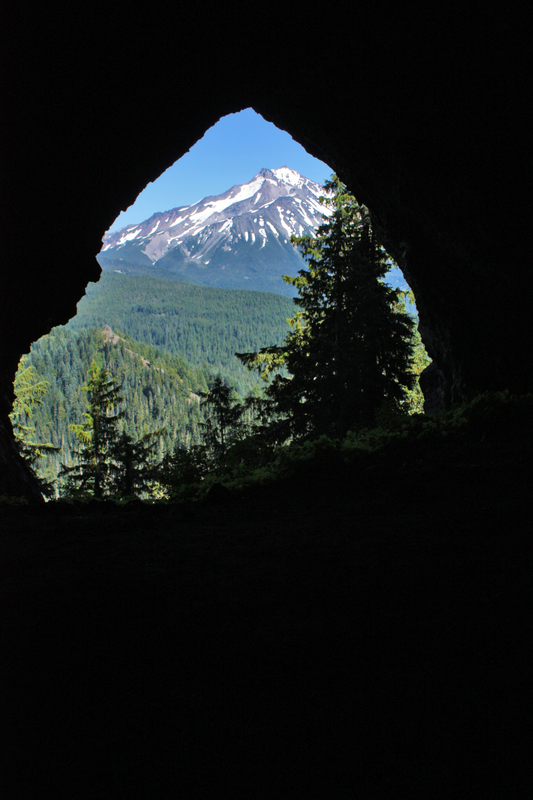 Go to the right around the cliff and descend a steep forested slope to a 100 foot deep cavern with a view of Mount Jefferson. 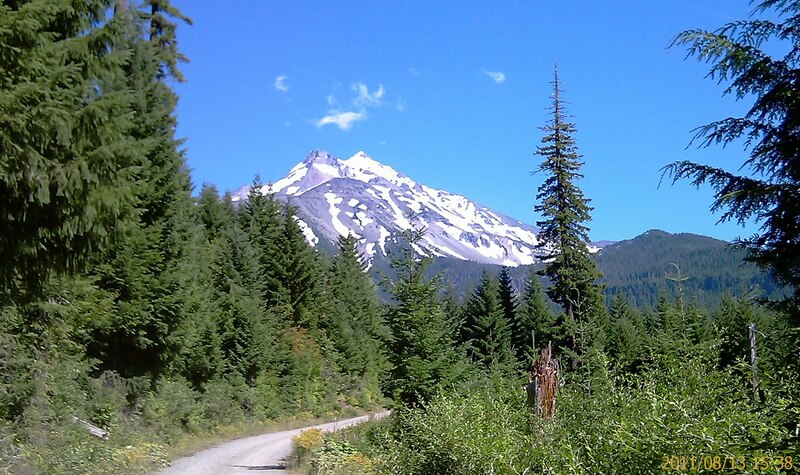 Permits: A free self issue Wilderness Permit is required and is available at the trailhead. Parking and access are free. Just in case, you may need to pick up a Wilderness pass for $5. Stop by the ranger station and ask. I always do. Better safe than sorry. 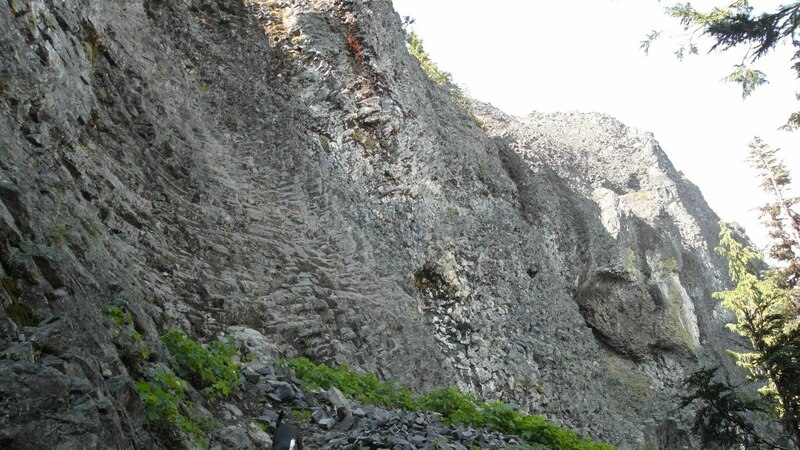 You do have to go around a rock wall…Here is a picture of the path. Was trying to figure out how to climb to that ledge. Johnathon would have done it!!!! 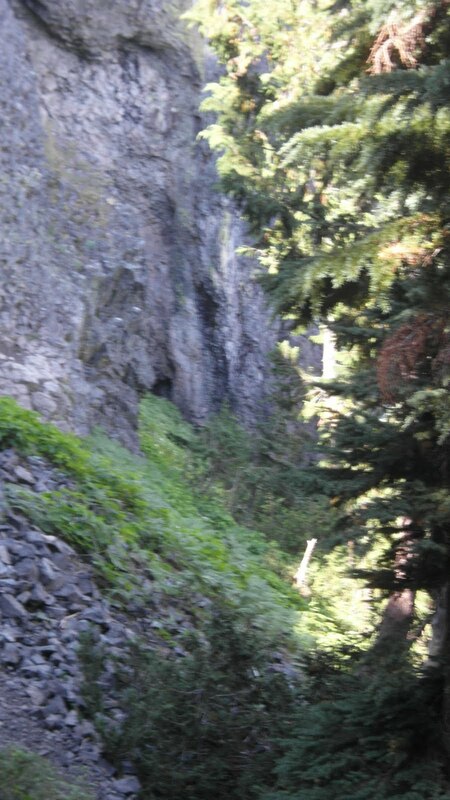 I don’t remember seeing a cliff or the outcrop of rocks but I wasn’t really looking. I was more amazed with this hole in the wall and figuring out a way to send ShadowLynn in FIRST to scare away the bears, bums, or creatures living in there — like the ones from the movie Descent! he he. 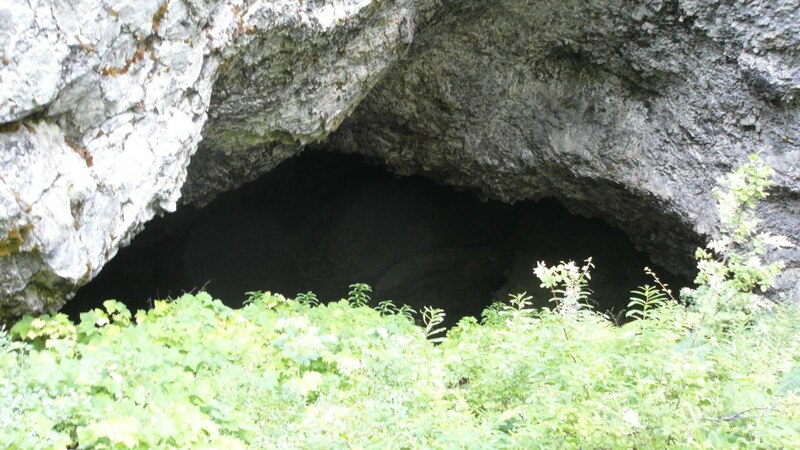 The cave isn’t very deep. They did have these ledges that freaked me out (flashback on this movie again). I was expecting a head to peer over and start hissing or crawling on the ceiling, scattering like cockroaches! he he. How my imagination runs wild! 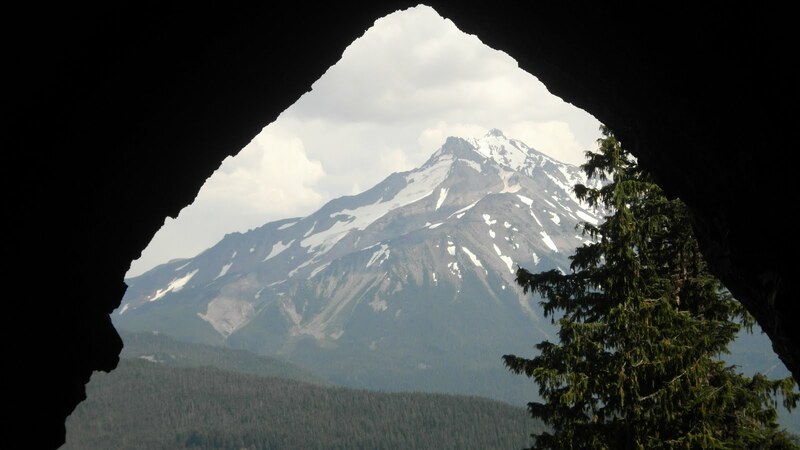 The entrance does frame Mount Jefferson real nicely. Couldn’t get a clear picture of us standing near the entrance. 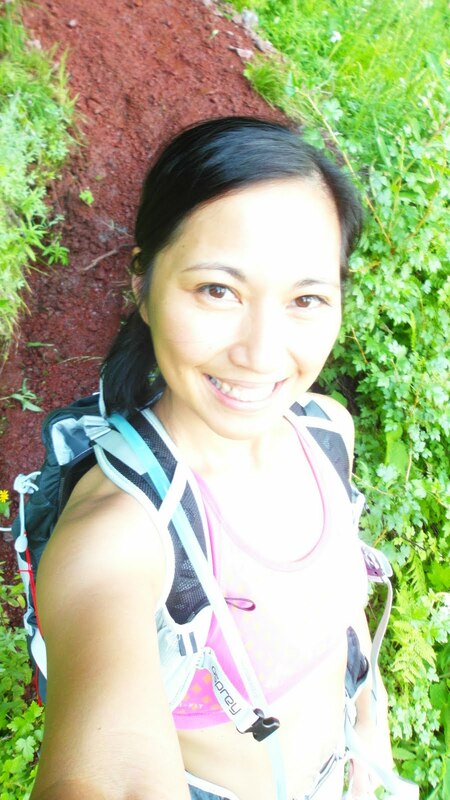 And of course, it wouldn’t be MY blog without a picture of moi…. Enjoy! 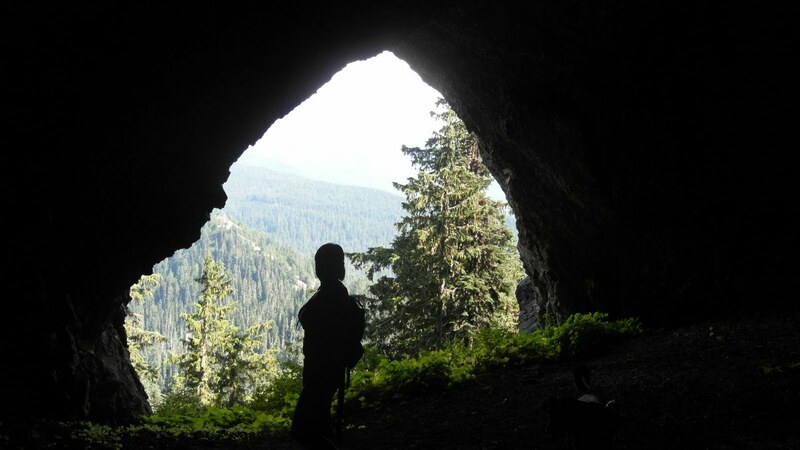 Check out my next Cave exploration. It’s in the planning stage right now but should be a pretty good one! 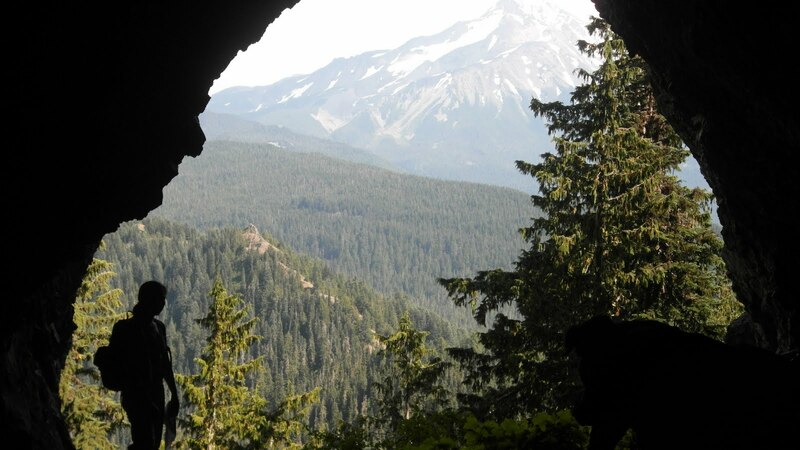 I took Scott and his boys with me to show my favorite hike in 2011. It’s still ranks pretty high up there. 🙂 Also brought the dogs with us. Can you see Sam? It was hard to get a picture of him AND to make sure Mt. Jefferson was clear. 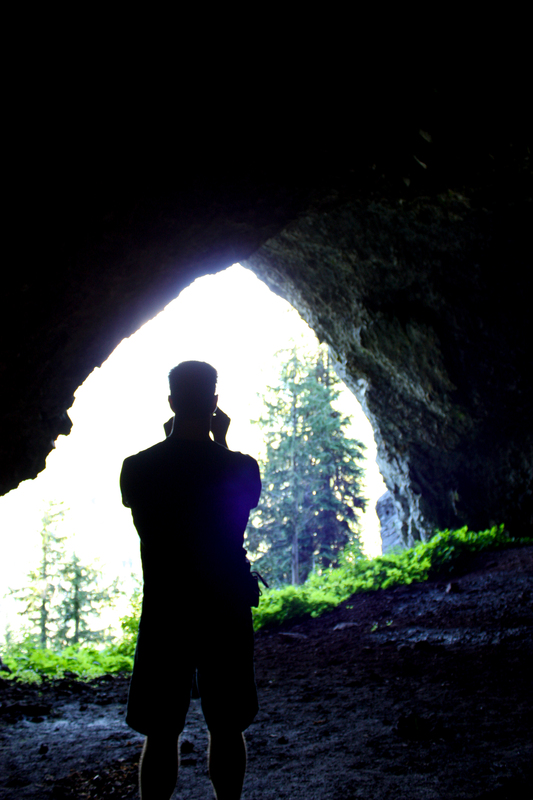 Climbing up to the mouth of the cave was difficult. 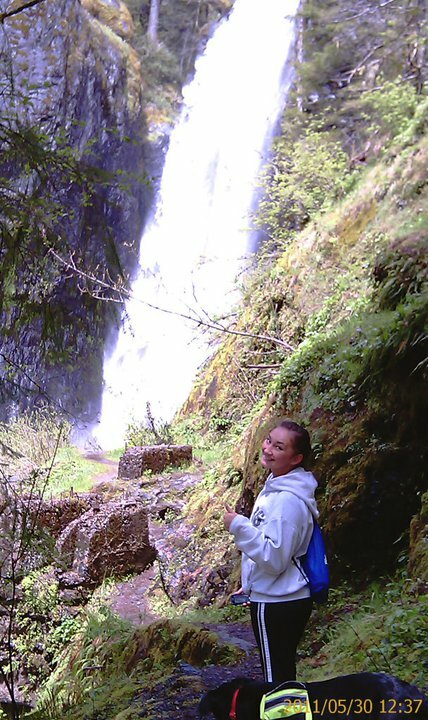 I had Muffy in my arms, the camera, and my backpack. Scott had to come back down and grab my pack. 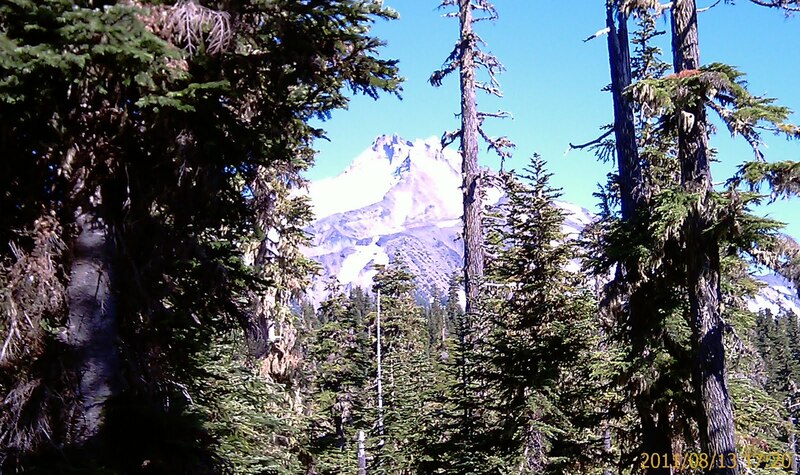 On our way up, I was able to get beautiful pictures of Mt. Jefferson. It was closer in person and so beautiful. 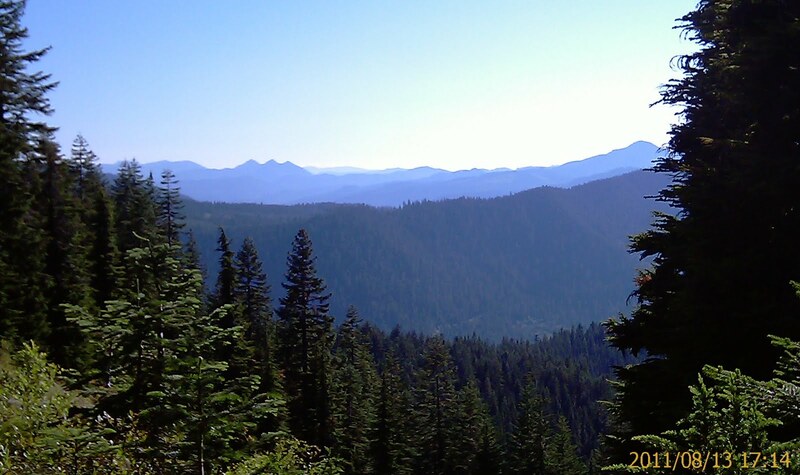 It makes me really appreciate Oregon! The weather was perfect! About 75 degrees, clear skies. In my head, I was thinking, “DANG – perfect day to do Table Rock to see all the mountain ranges” but glad I didn’t. 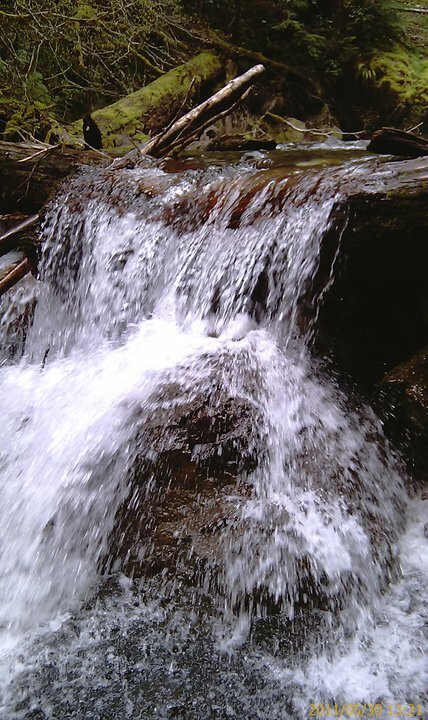 My water bladder was low and already drank all my Vitamin Water from Cheat Creek. 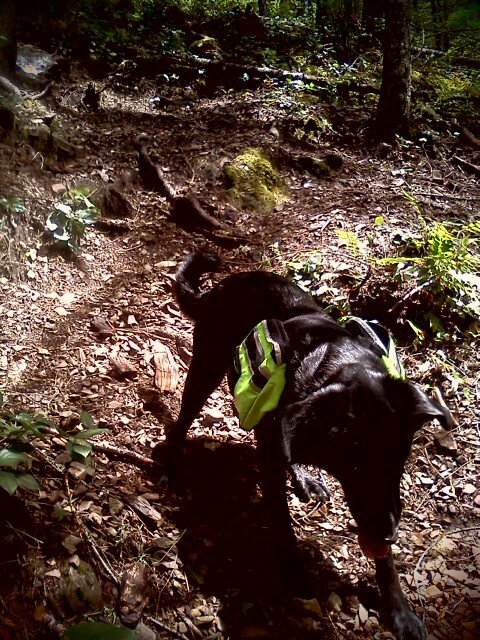 It was nice because it made my pack WAY lighter but was a little worried about Shadowlynn. Kept filling up her water bowl and kept wanting more. Was hoping to find any creeks or water beds for her to drink out of to help save what little water I had left. 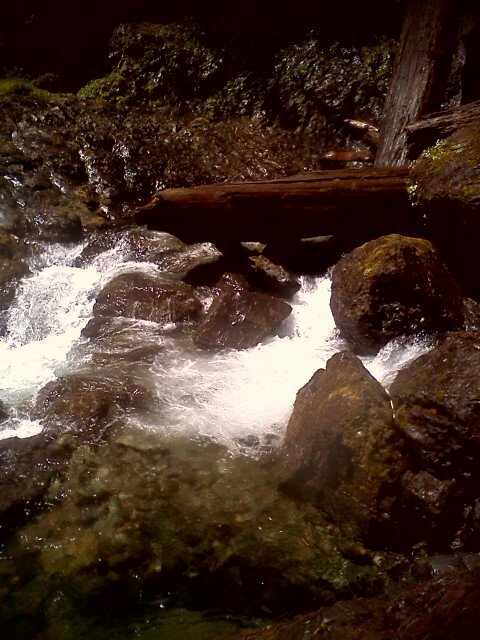 We did find a creek about 1.5 miles UP and was all happy once again. 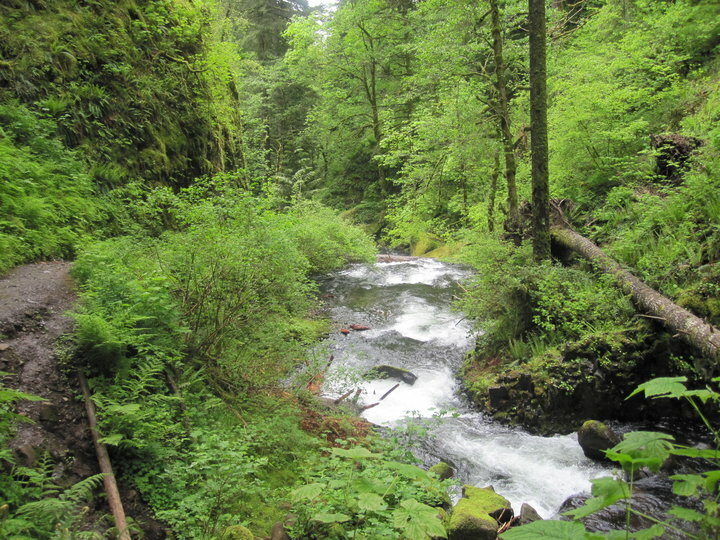 We ate near the creek – the rest of my Subway Sammich, trail mix, and protein bar….felt so much better. I brought Dog Food for Shadowlynn so she was all happy and content too! 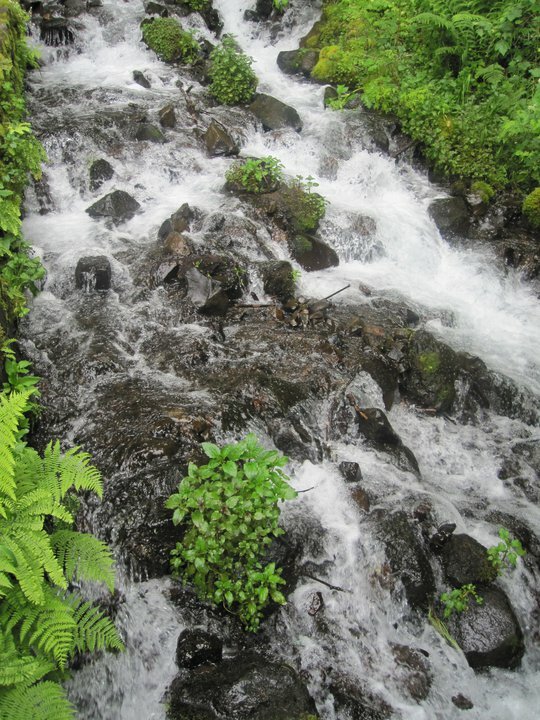 I think this is part of Whitewater? I seriously need to invest in a camera. Would love to take one of these pictures, blow it up, frame it and put it on one of the walls…Well, hopefully on my next commission check I may be able to do that. Plan to do this hike to the first lake within the next week or so and plan to “backpack/camp” next year with friends/family to do the FULL loop! 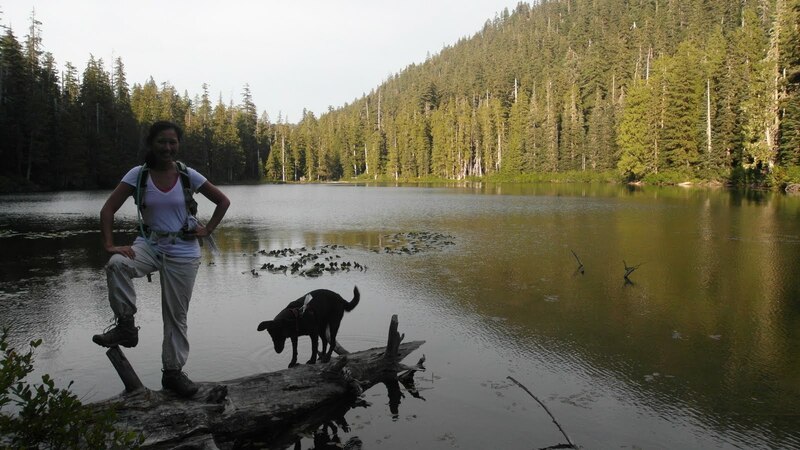 Posted in Detroit Lake, hiking, Jeff Park, Jefferson Park, Jennifer Piol, Mt. 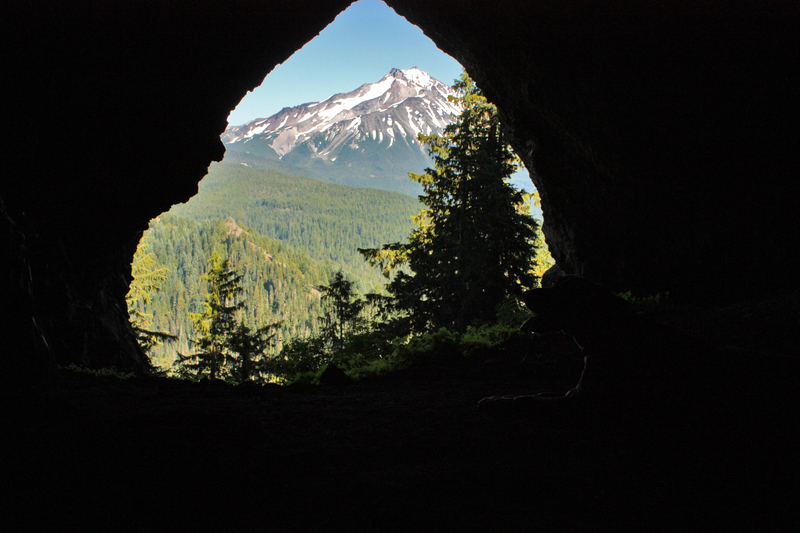 Jefferson, Oregon, Salem, Shadowlynn, trail. 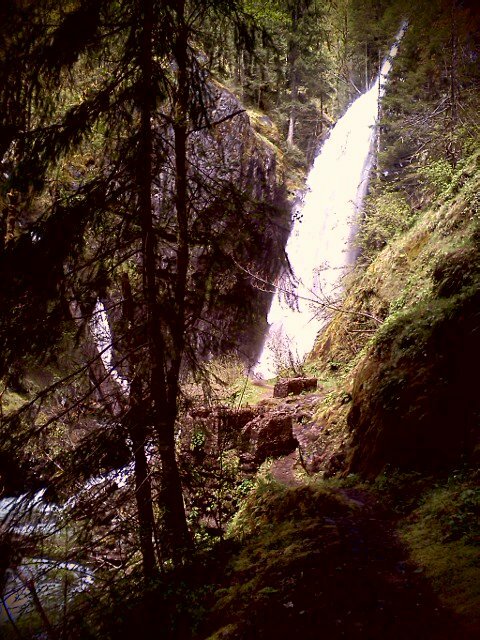 Info: (http://www.columbiariverhighway.com/hiking/wahkeena_falls.htm) Wahkeena Trail #420 climbs steadily from the start. 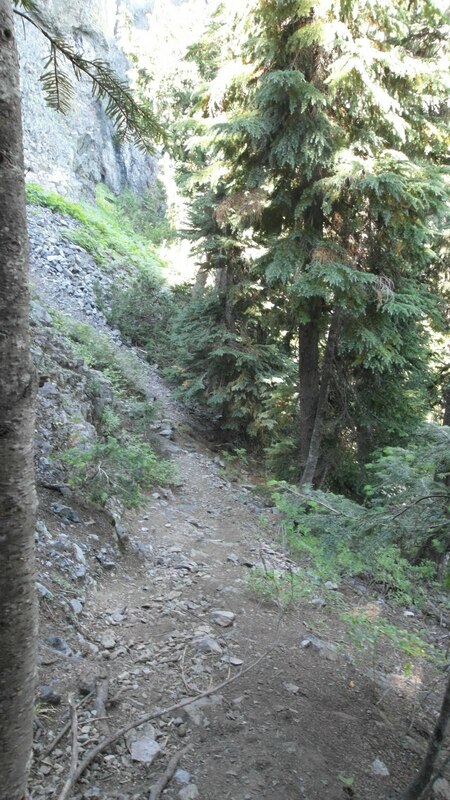 The path is wide and has several switchbacks. 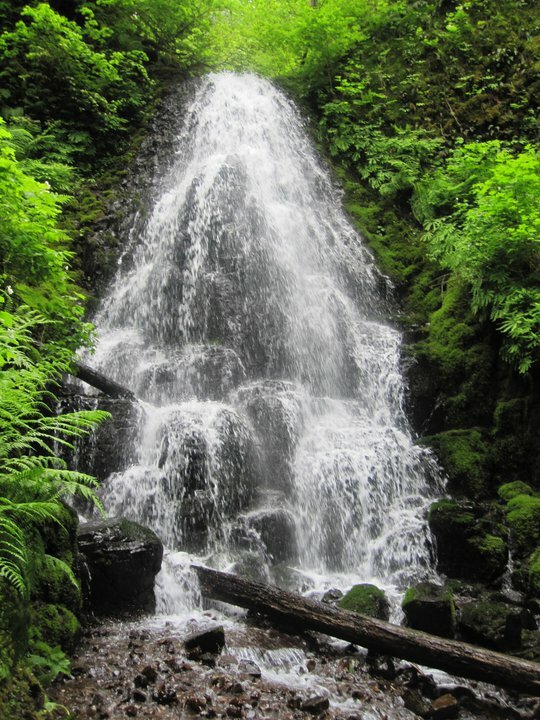 Wahkeena Falls has a height of 242 Feet. 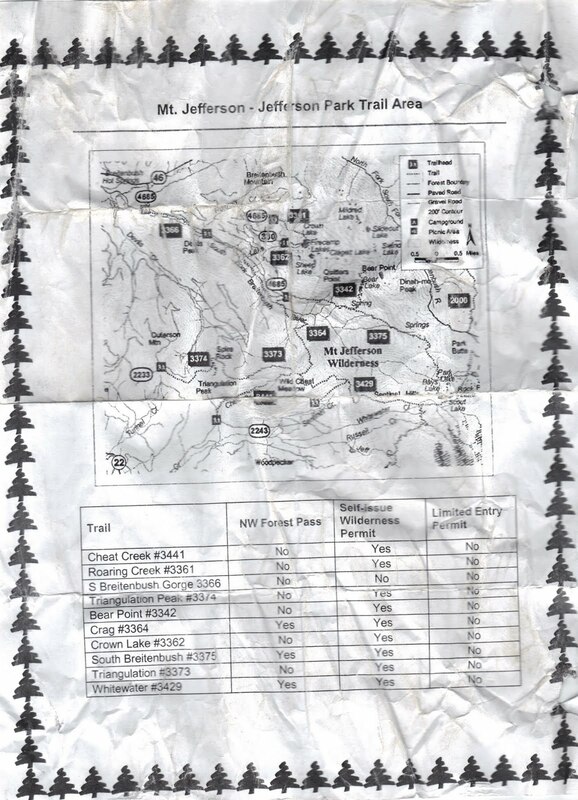 After the falls is the Perdition Trail #421 and has been closed since the 1991 fire and 1996 slides. 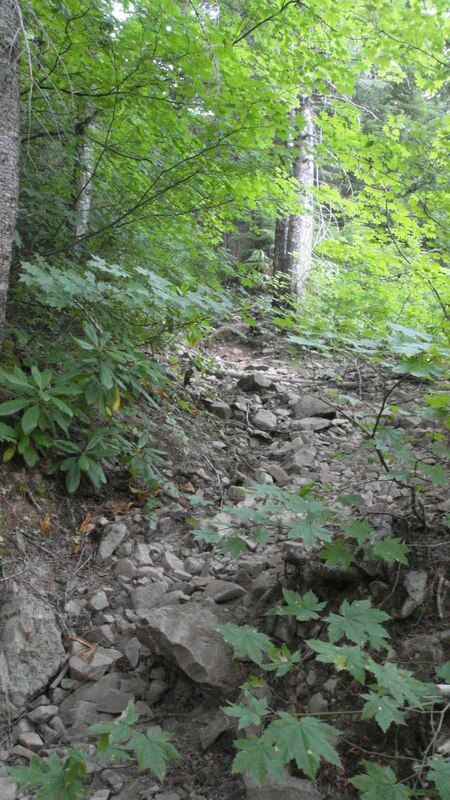 Stay right, and you will come to a junction with two lookout trails. The trail to the right leads to Lemmon’s Viewpoint. 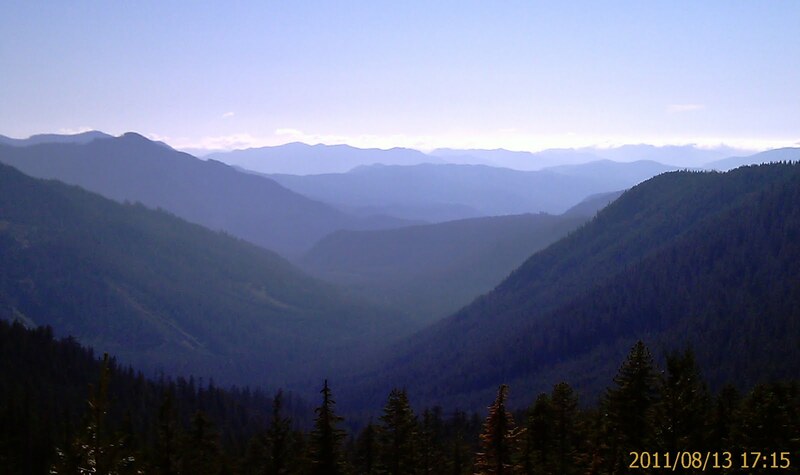 The trail to the left leads to Monument Viewpoint. 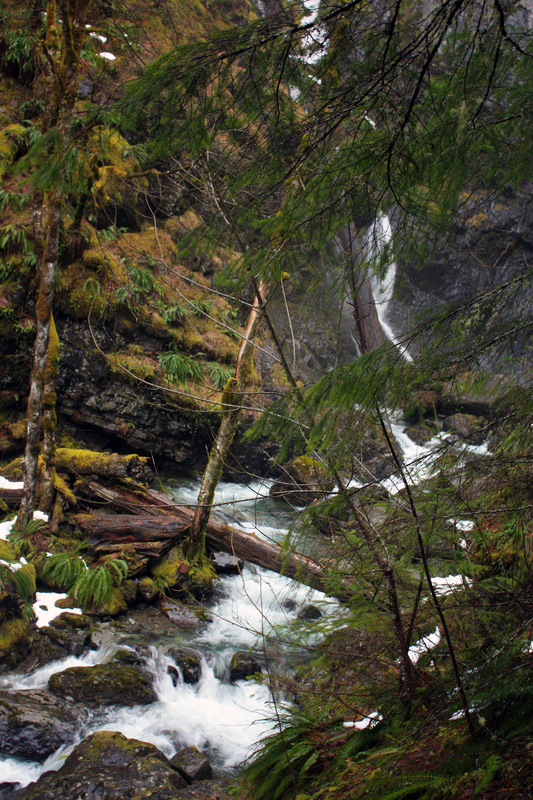 On the main trail, hike up to Fairy Falls. 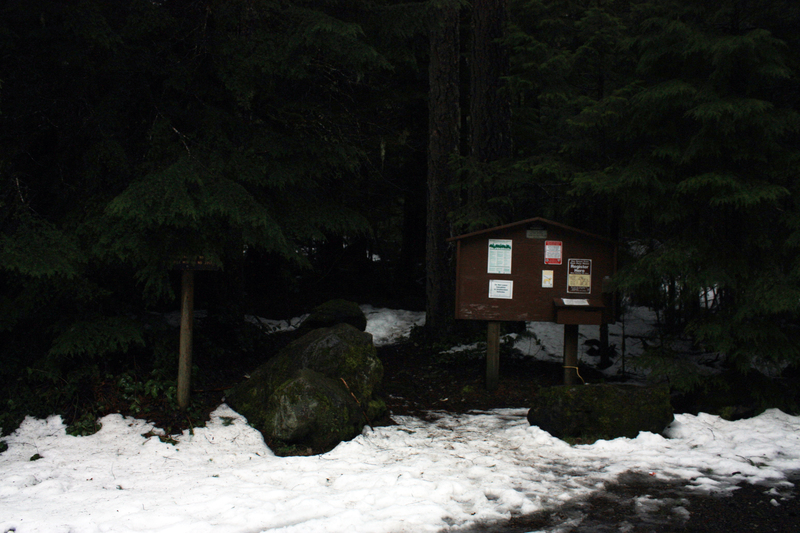 Restrooms are available at the trailhead during the summer season. 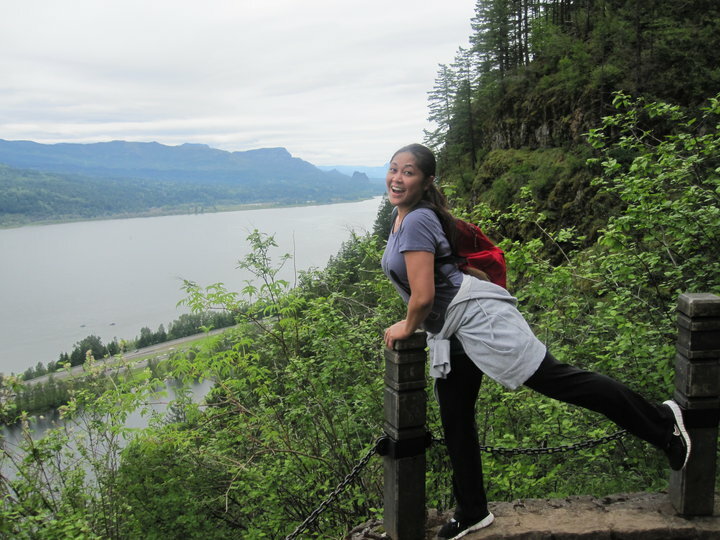 Jenn’s View: Joyce and I loved this hike. 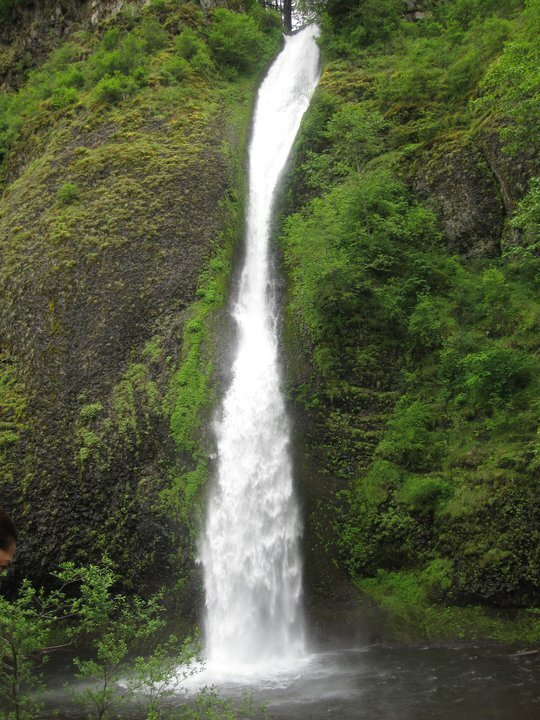 There are quite a few different trails but we took the one that lead us to Multnomah Falls. It was a great work out AND so much to see and enjoy. 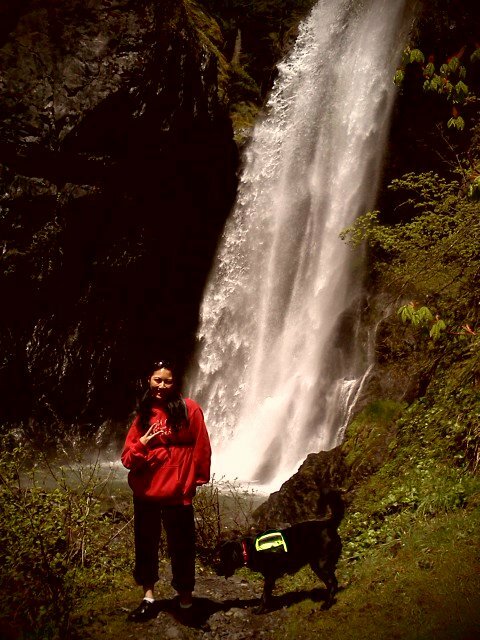 Waterfalls are my most favorite things to look for. 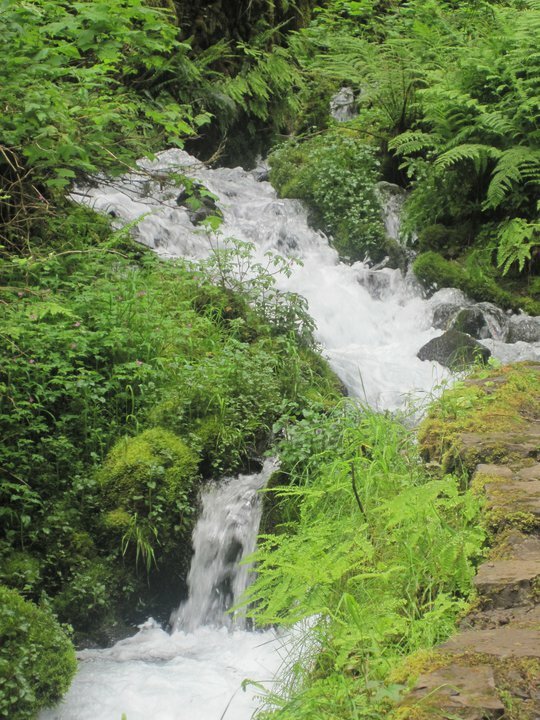 You actually get to see 5 different waterfalls on this trail. OHHH, this was the time I got a call from Washington County Police Department stating that Makaila was pulled over on TV Highway. She didn’t have her license at that time. I told the cop that she must have stolen my suburban and was joyriding. I had to call Angela, my niece, to grab the burb and take her to Grandma’s house. She had the ticket drop and had to attend a safe driving course. hahahahaha! 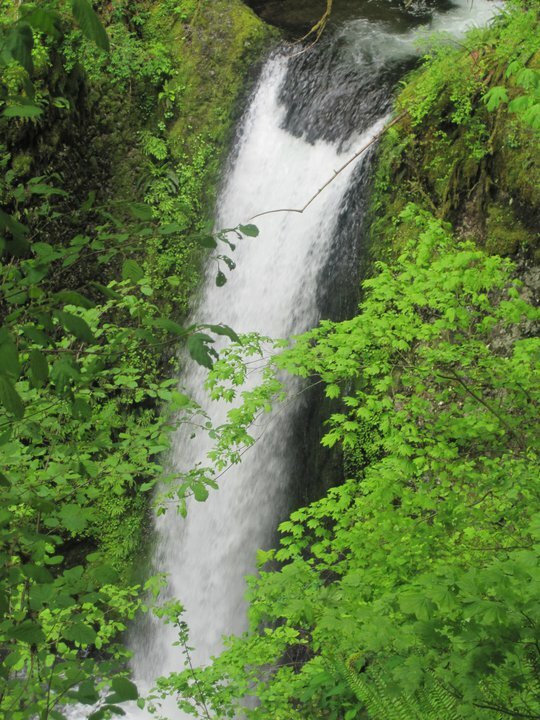 So the first fall you come to is Wahkeena Falls which is the main picture (above) for this page. 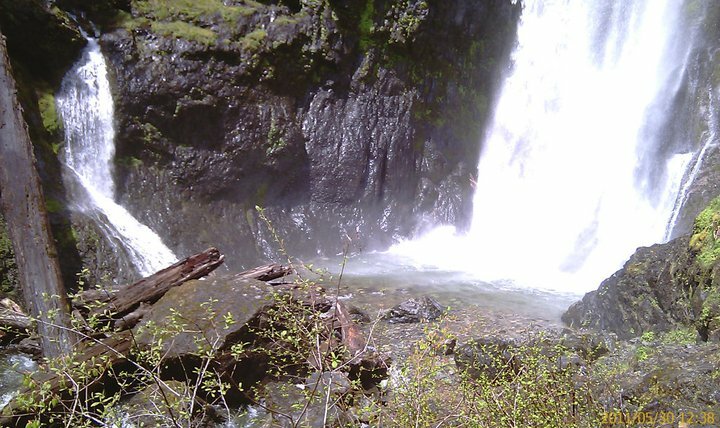 So from the beginning of the trail, you can see the first bridge to the falls. We got to the bridge and past the bridge is a rock crop. 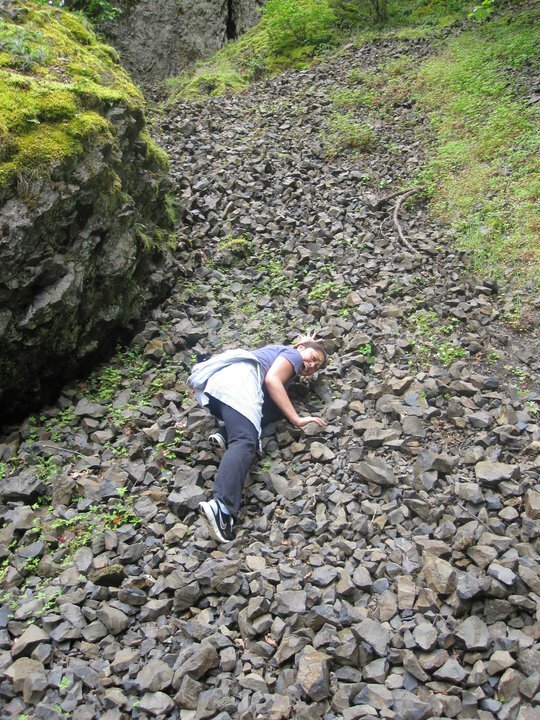 Joyce thought she was funny and wanted to “pretend” she was rock climbing. he he. 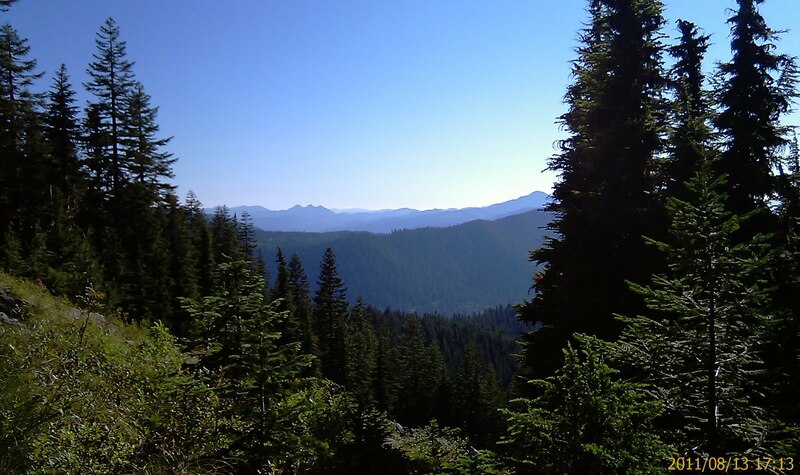 After the steady climb, you reach Lemmons Viewpoint. Here Joyce decided she was “Ariel” from the little Mermaid. God, she’s weird! 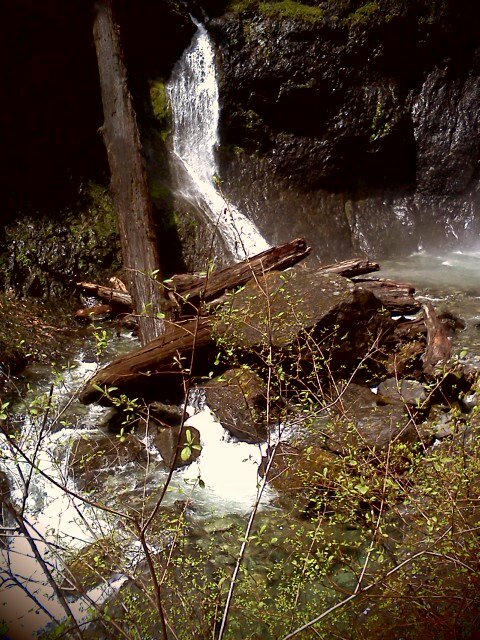 We continue on and you are hiking right next to the river bed that feeds Wahkeena Falls. 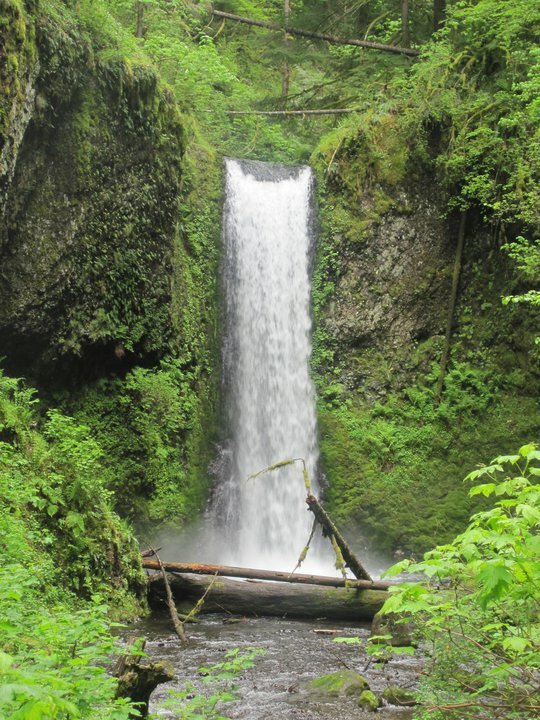 The 2nd Fall you come to is Fairy Falls. This one was small but I thought was the prettiest of them all. 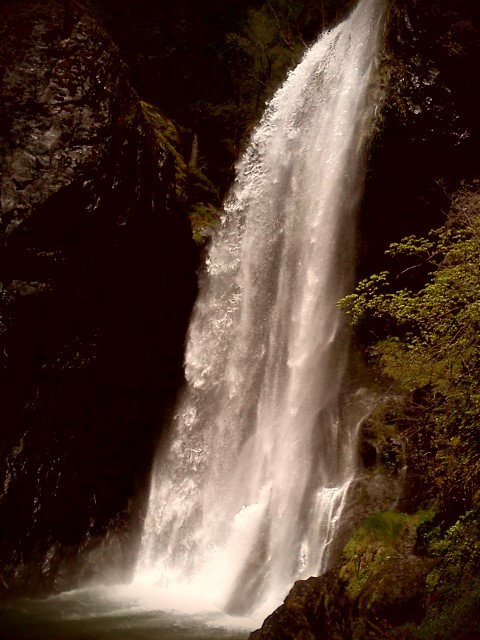 Next fall is Ecola Falls. Couldn’t really get up to close but you can see it from the trail. 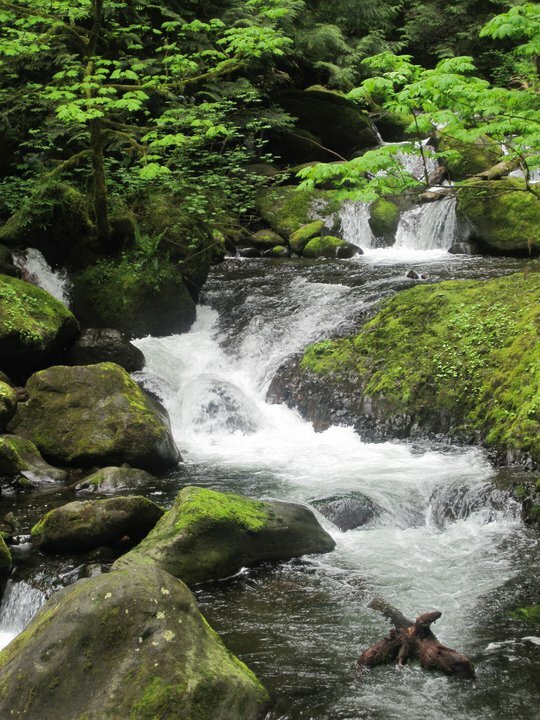 This was on our down, closer to Multnomah Falls. 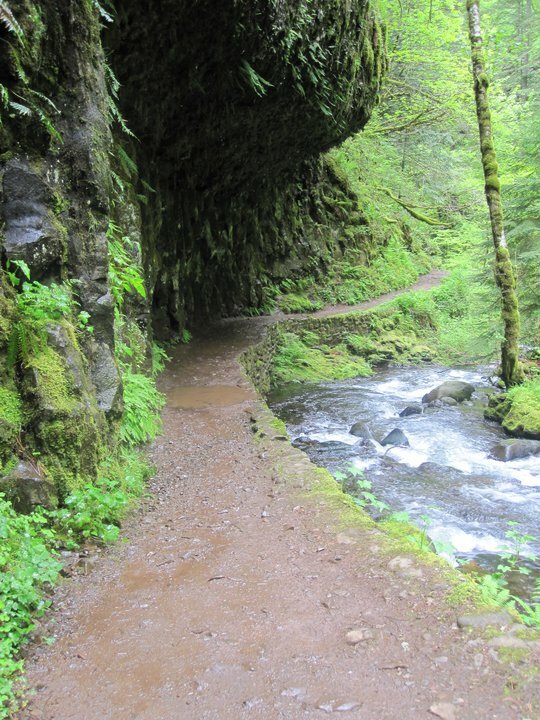 The trail heading towards Multnomah was icky but cool. At one point, you are walking under a cliff. 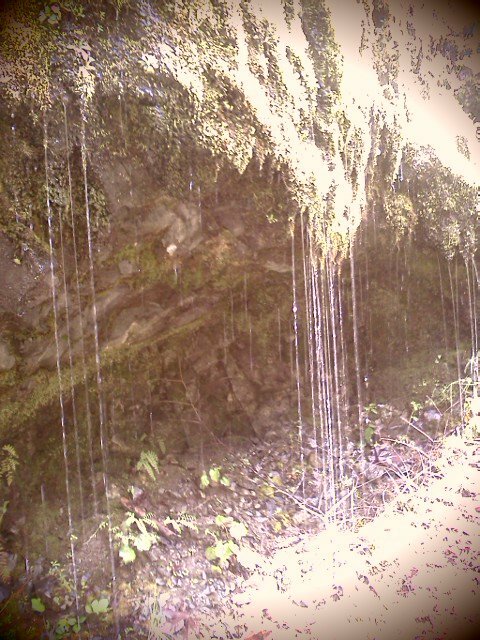 The trail was wet and muddy but beautiful because you are walking next to the river. Too bad it’s not deep enough to river raft. 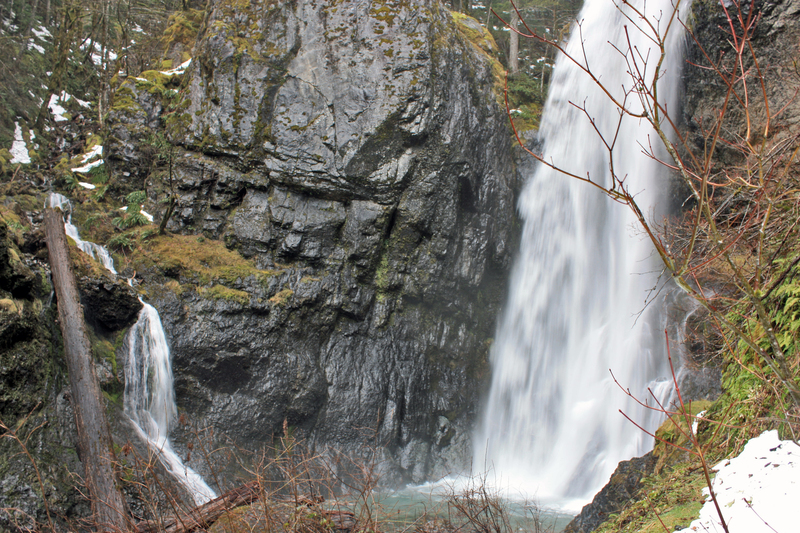 The 4th fall is called Weisendanger Falls (don’t ask – I don’t know how to pronounce it either!). Highly Recommend this trail! Make sure to do it in the late spring. It’s not too hot and the lighting is perfect to get pictures of the falls.